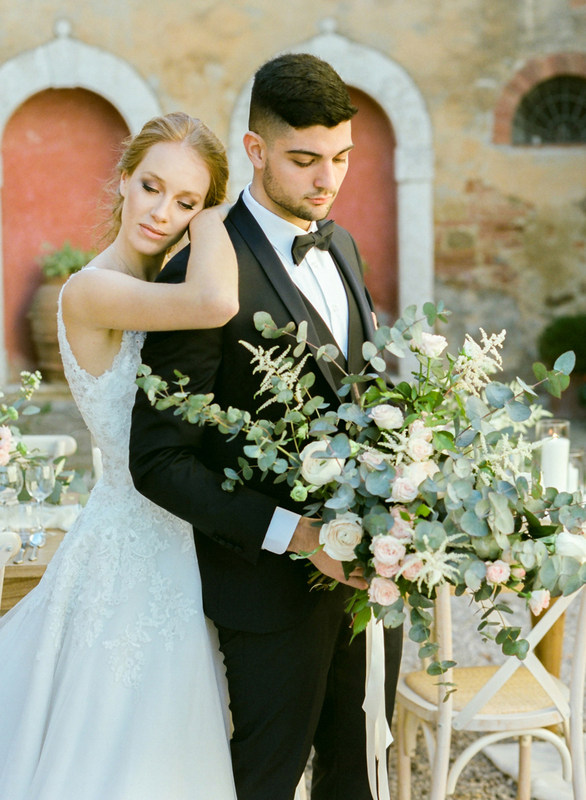 There is perhaps nowhere in the world more romantic than Italy and when it comes to love and marriage, the jewel in the heart of this country of romance is Tuscany. 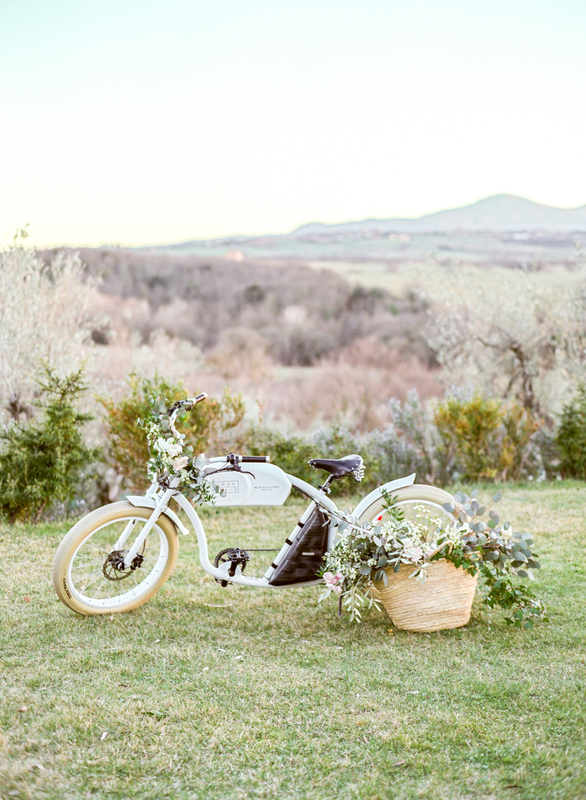 As a wedding photographer in Tuscany there is nowhere more appealing. 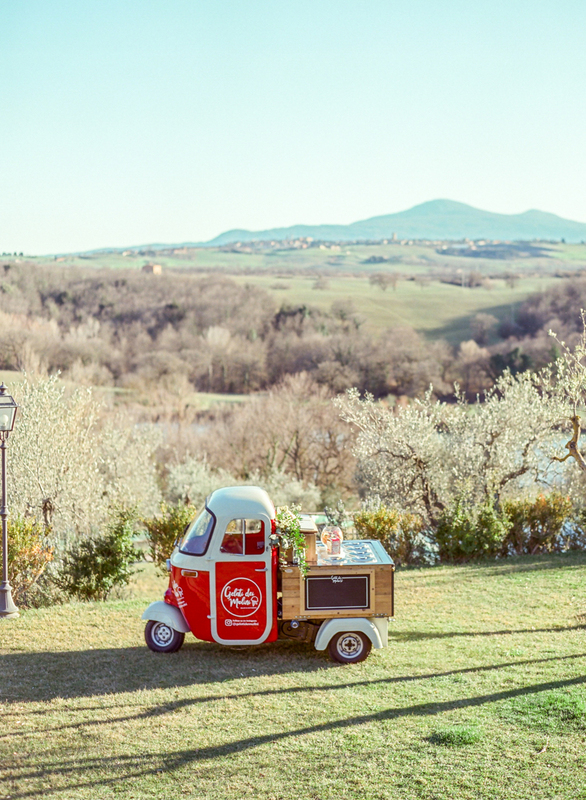 The landscape creates a rolling backdrop of serenity, while the architecture, food and wine, bring life to the senses. 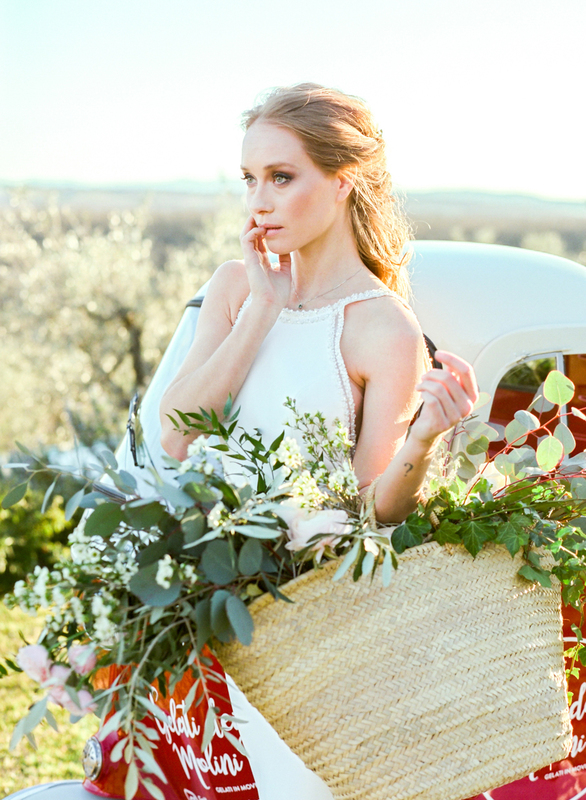 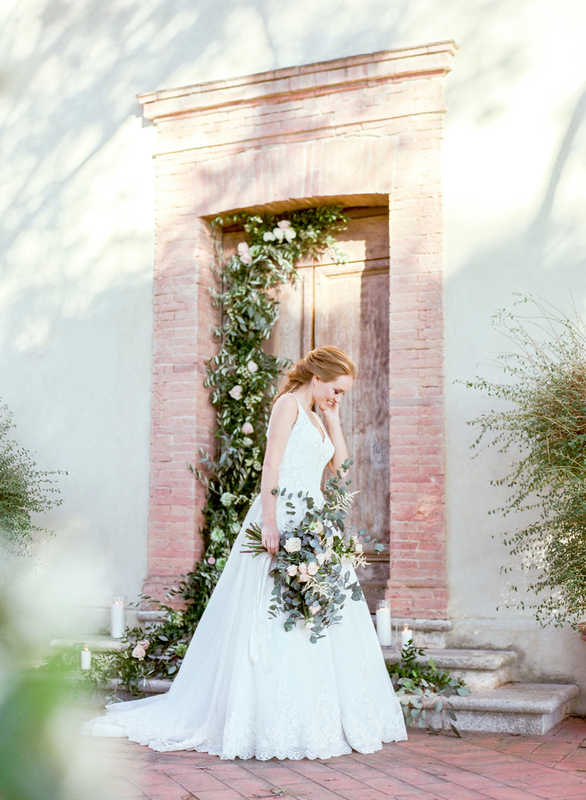 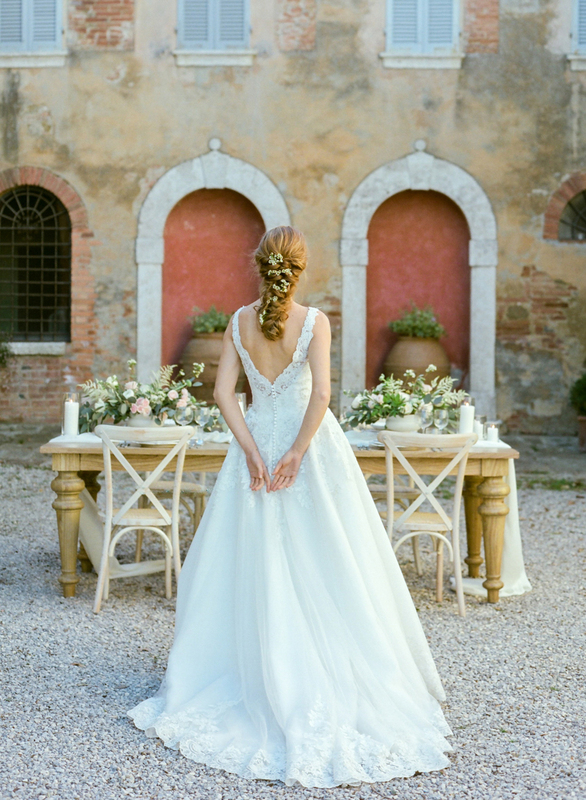 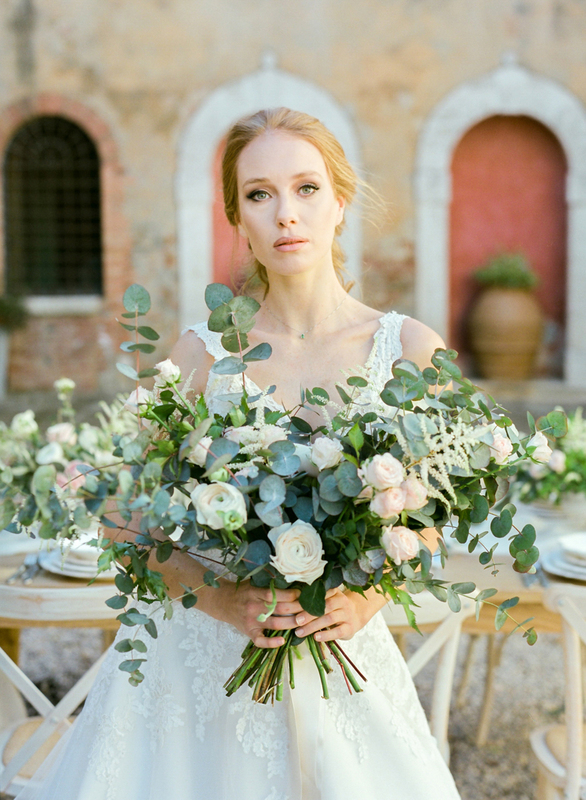 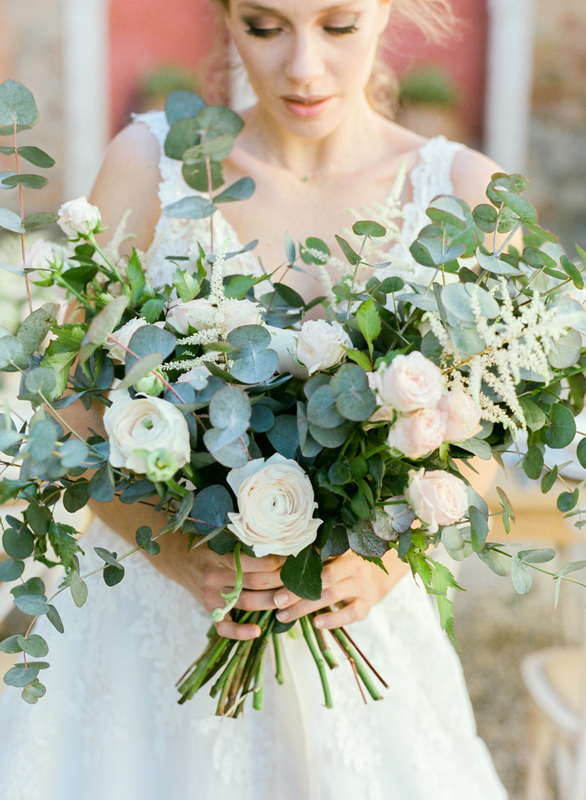 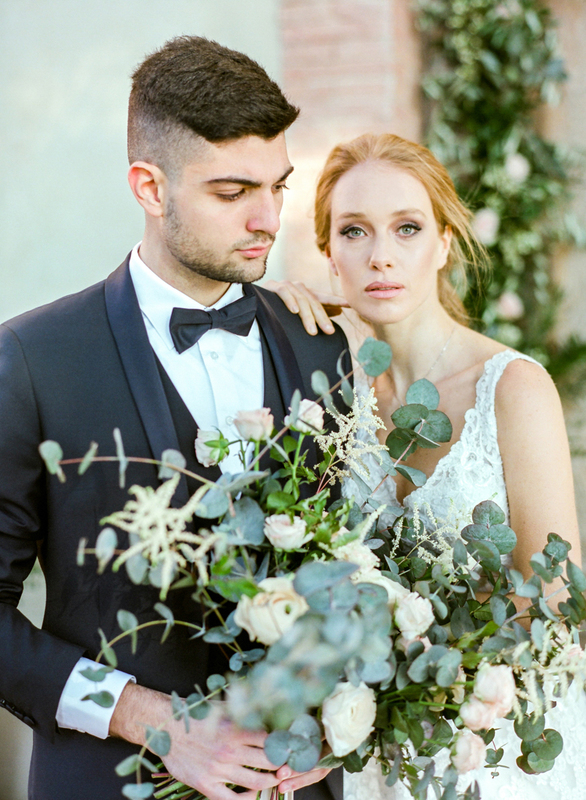 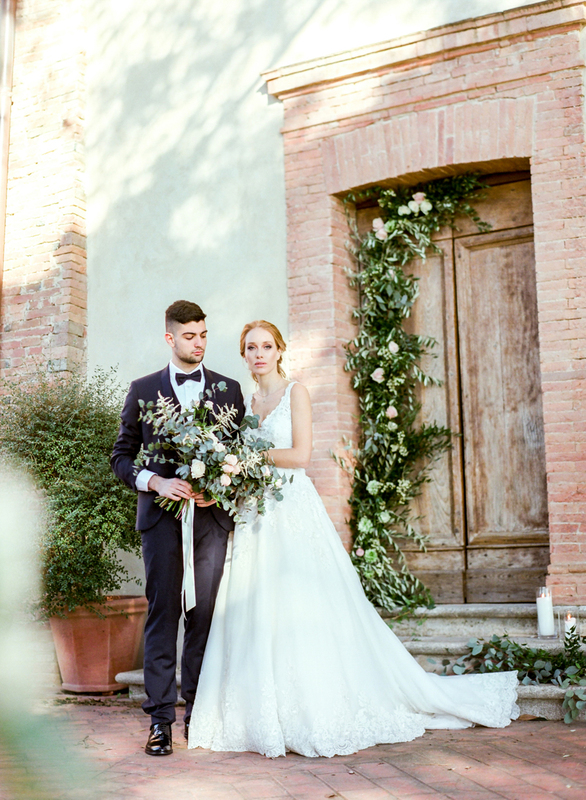 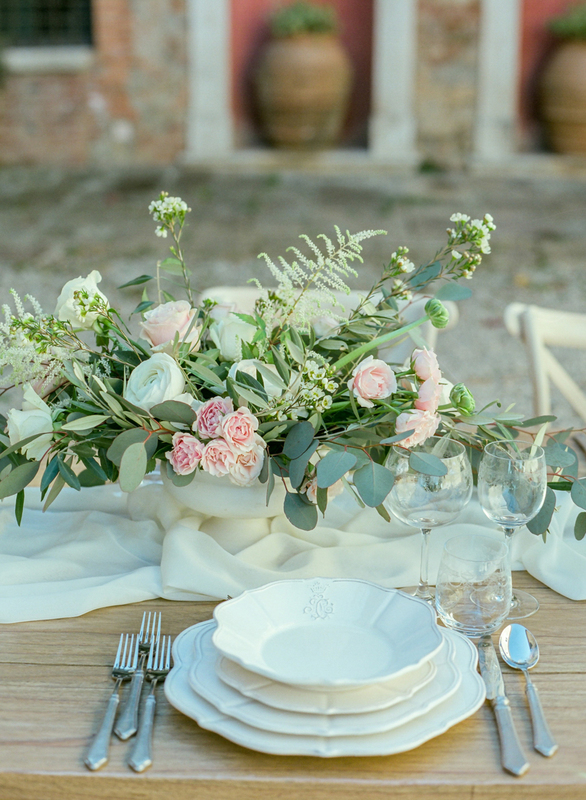 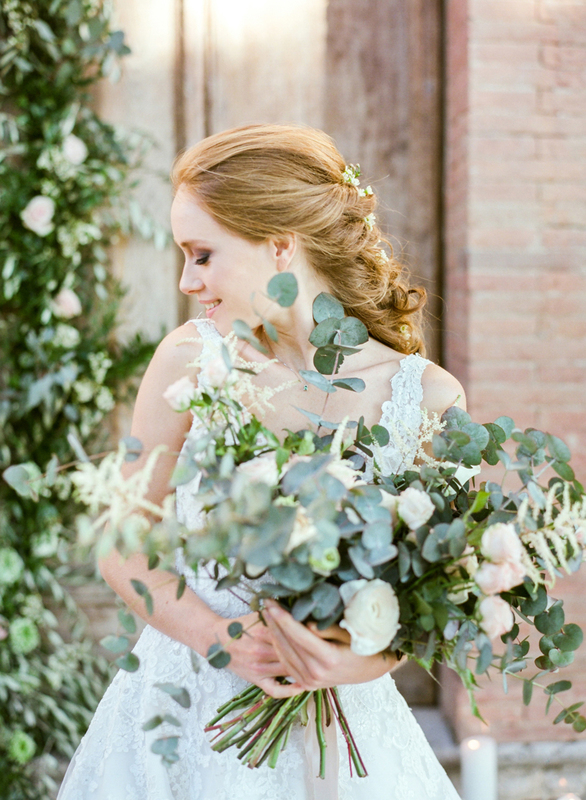 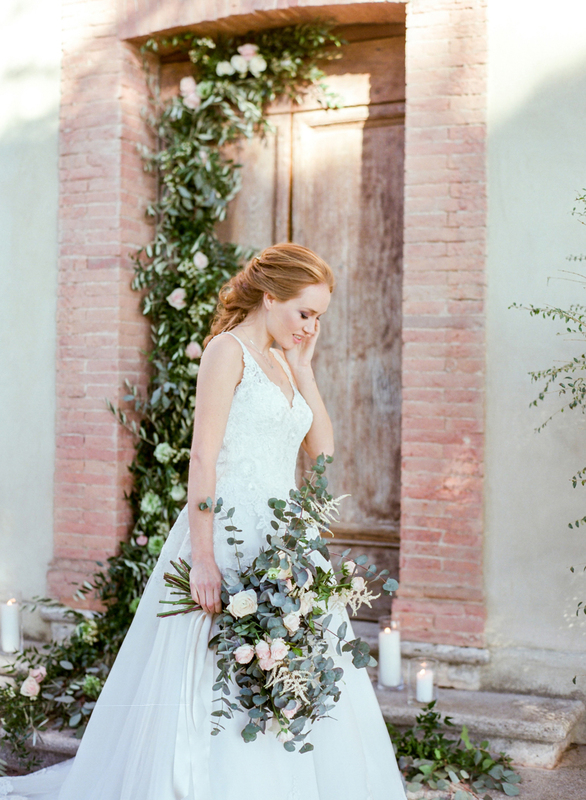 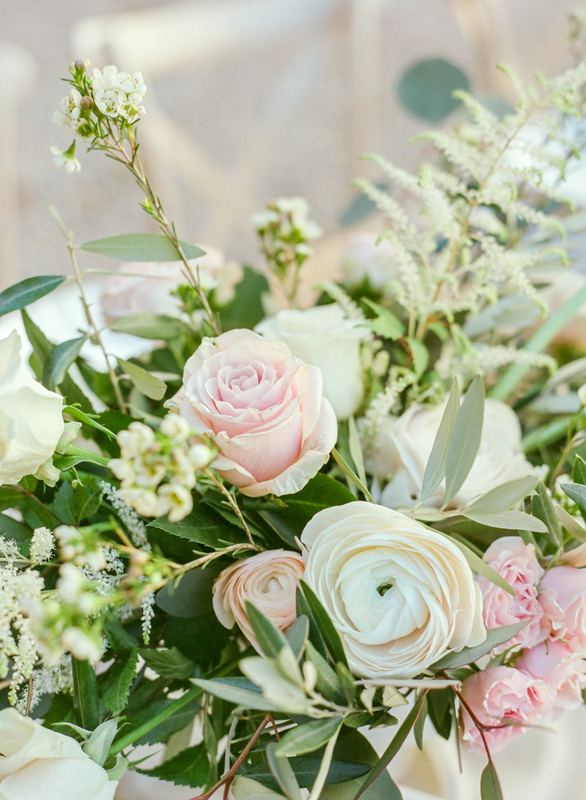 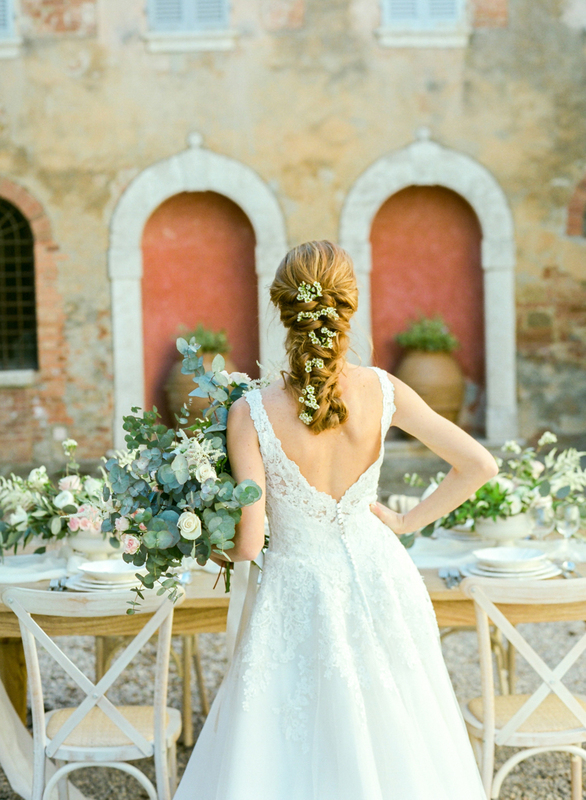 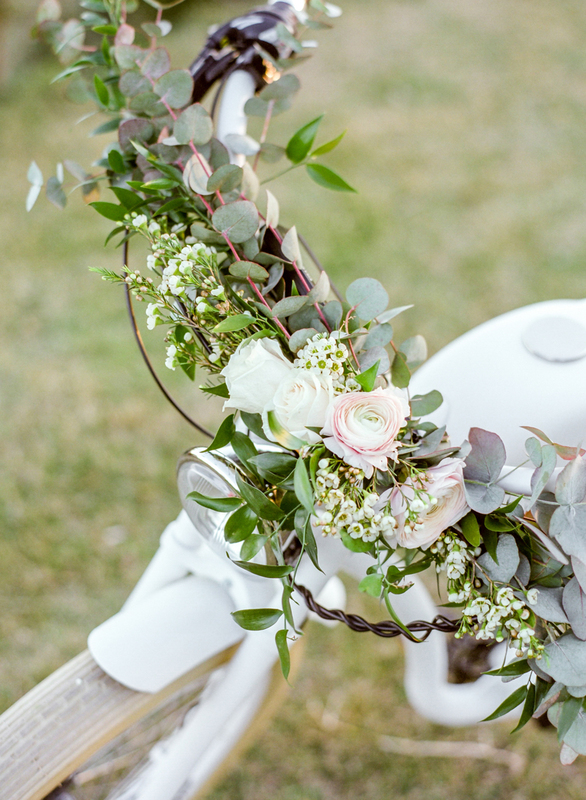 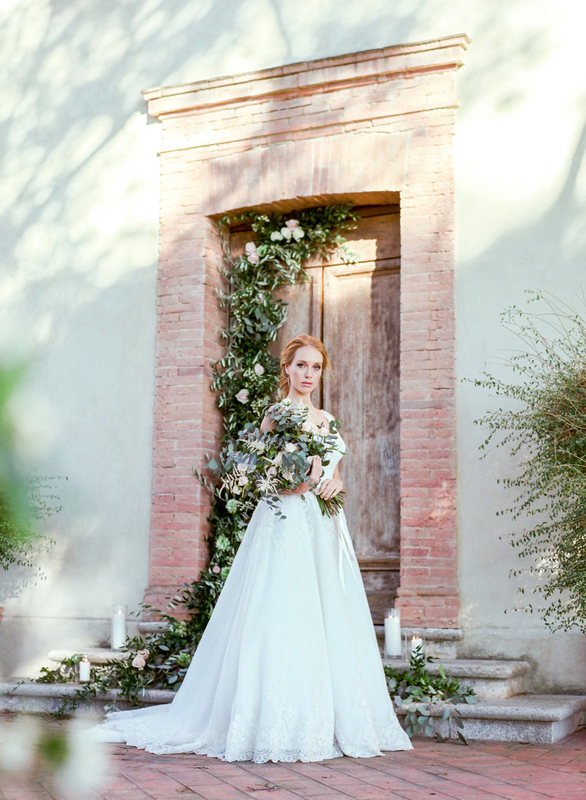 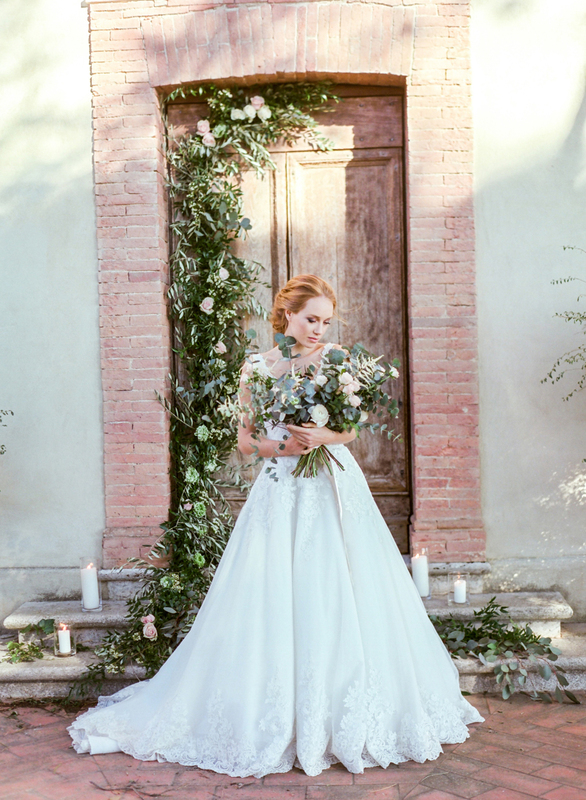 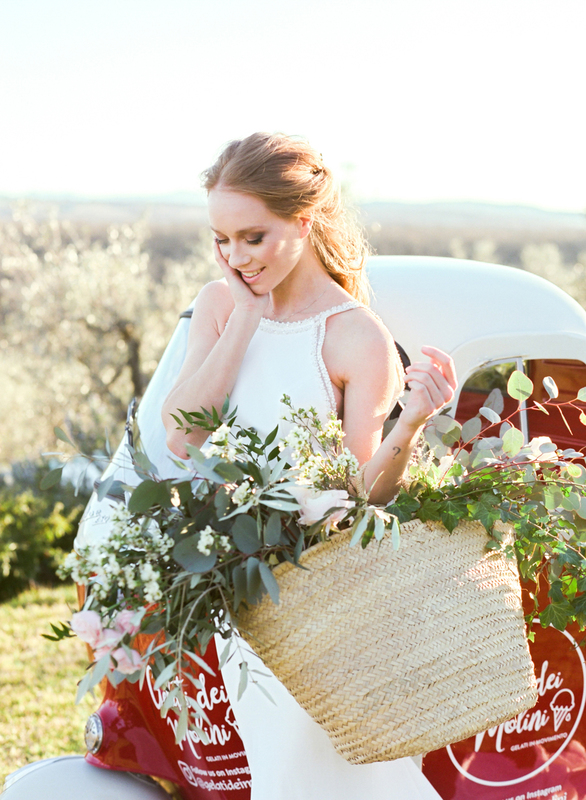 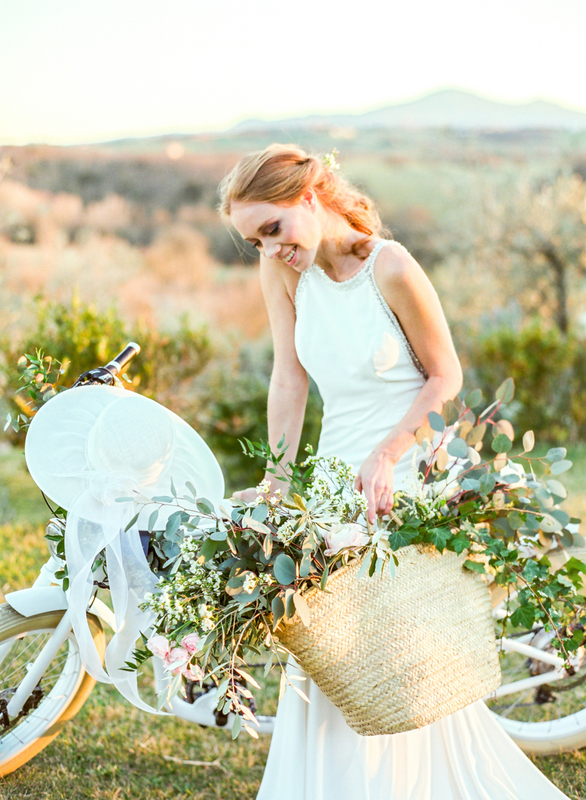 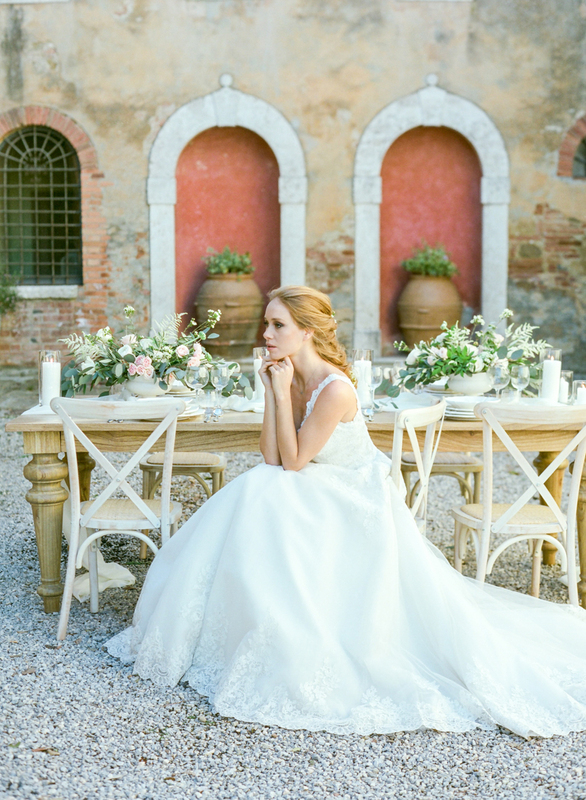 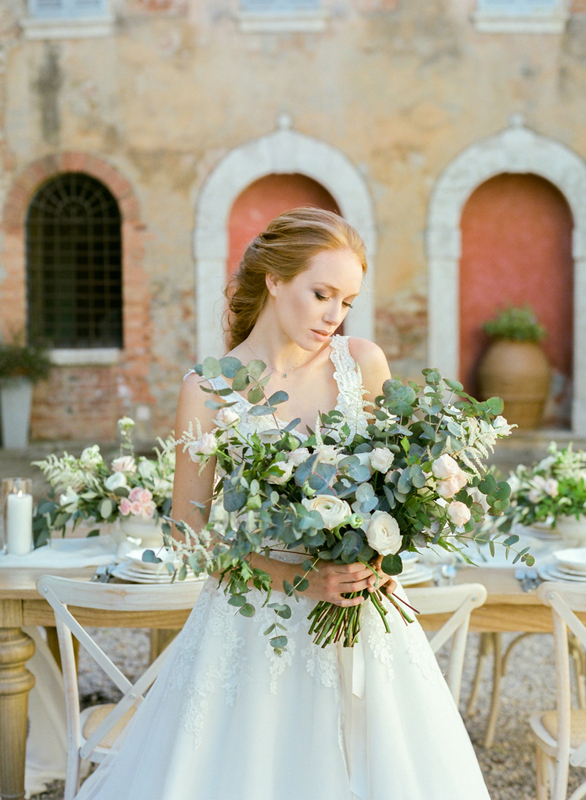 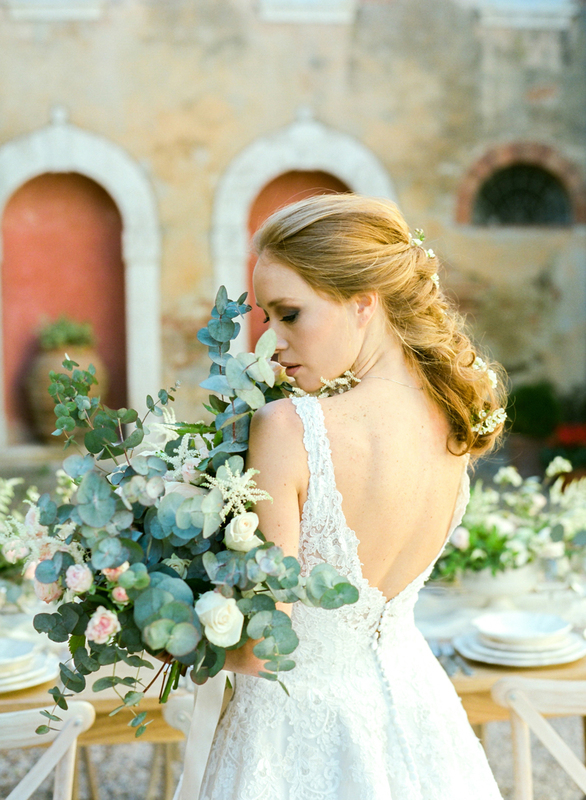 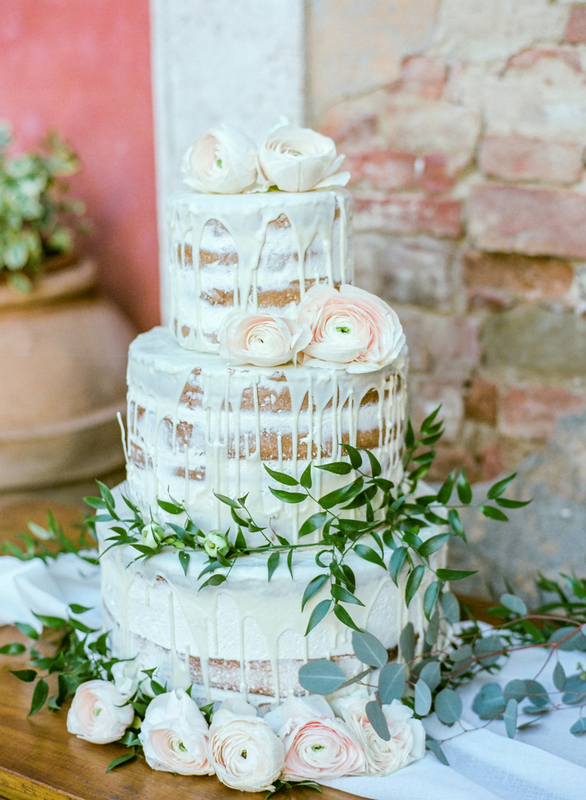 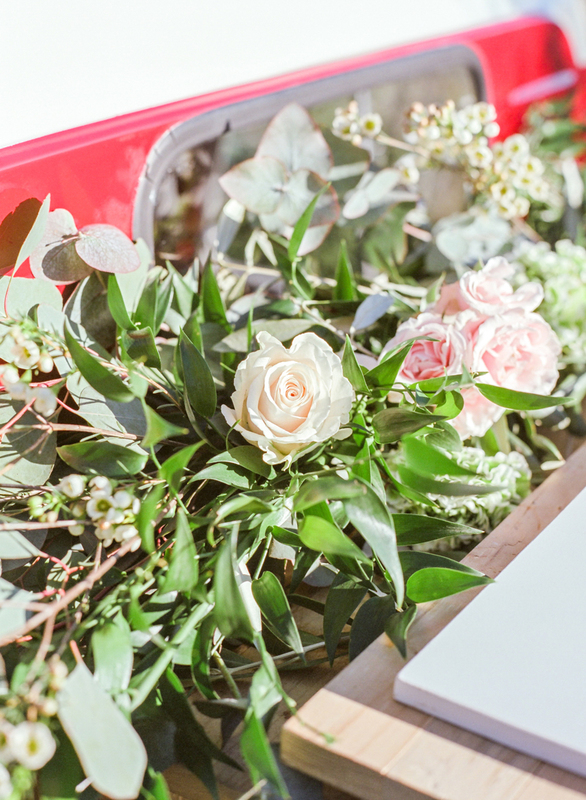 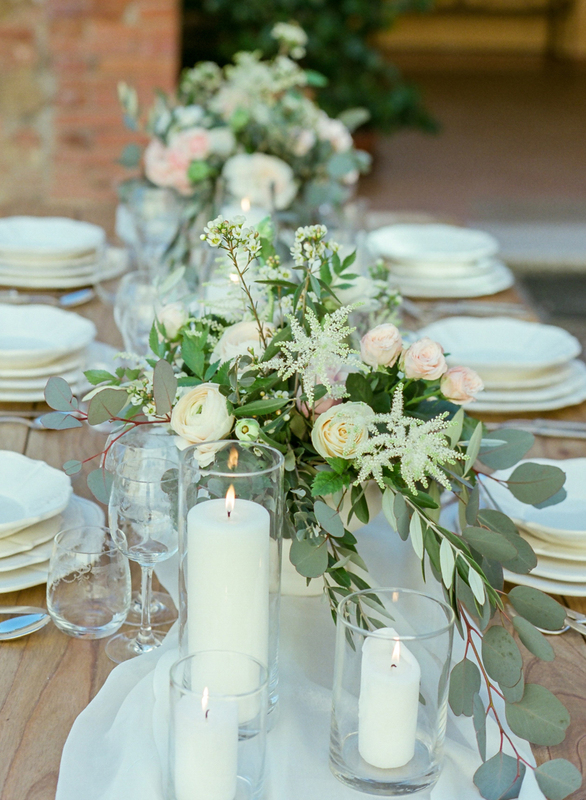 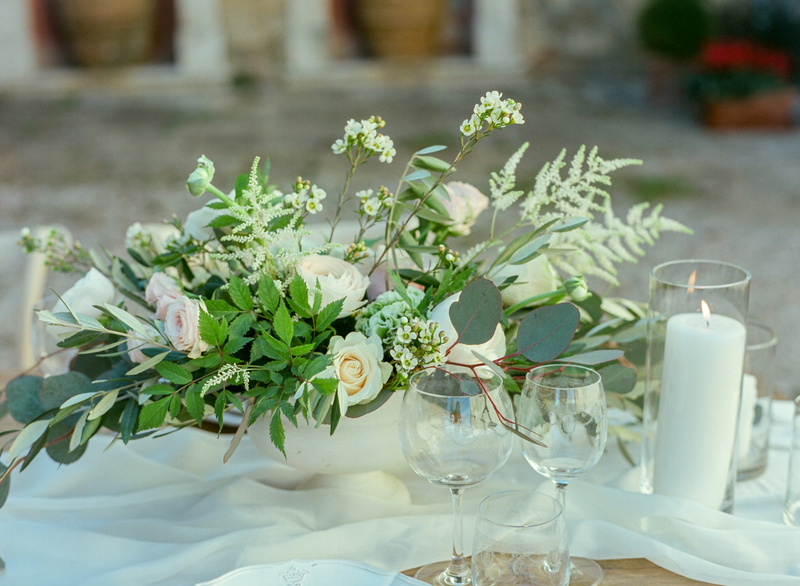 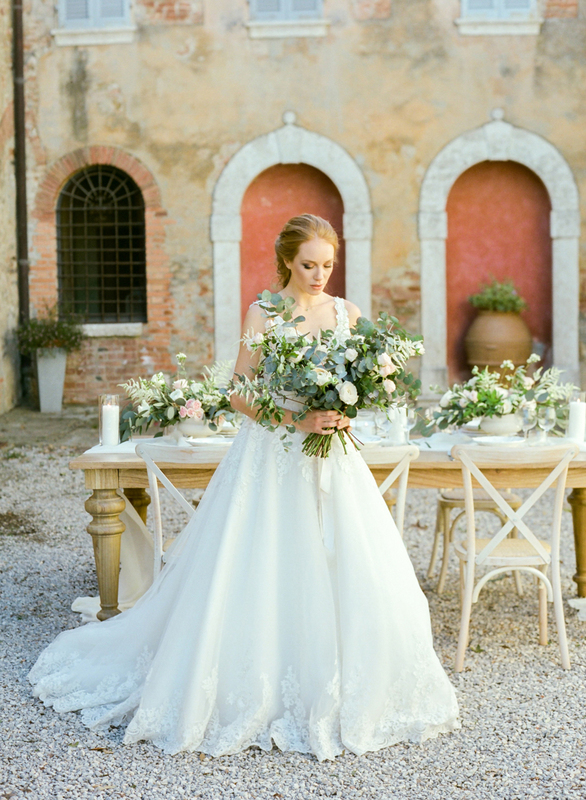 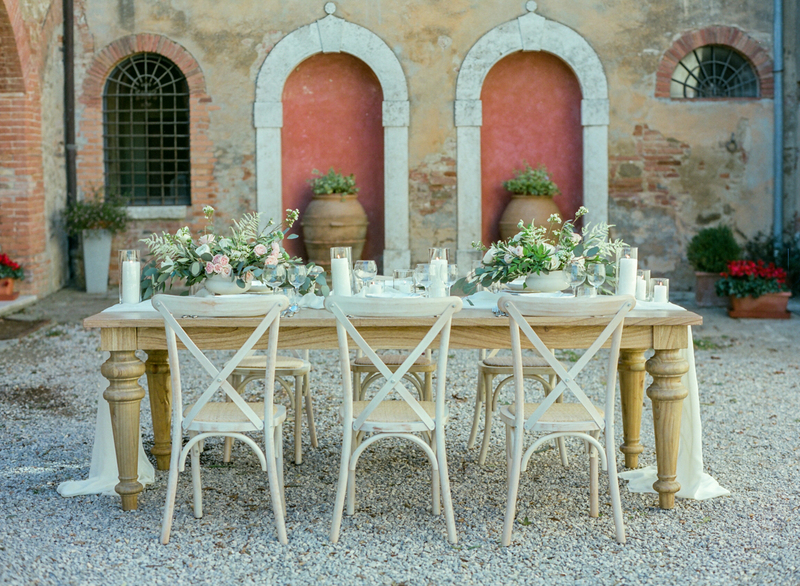 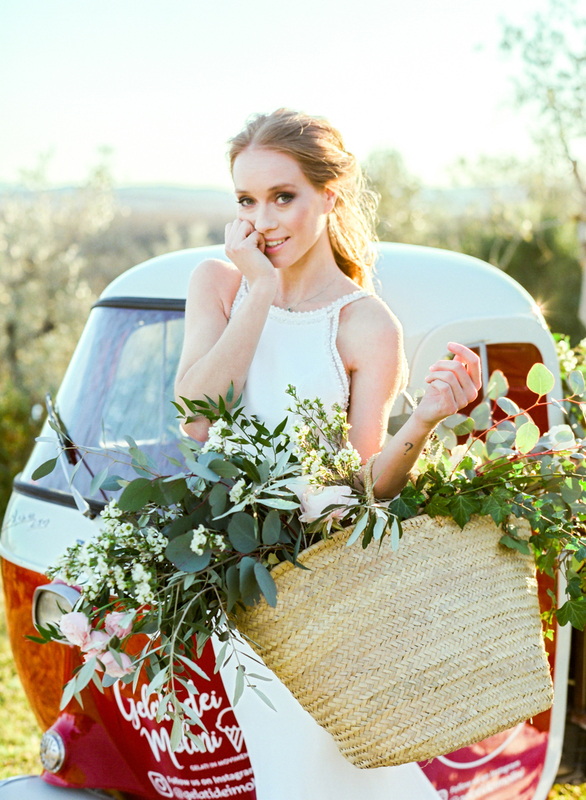 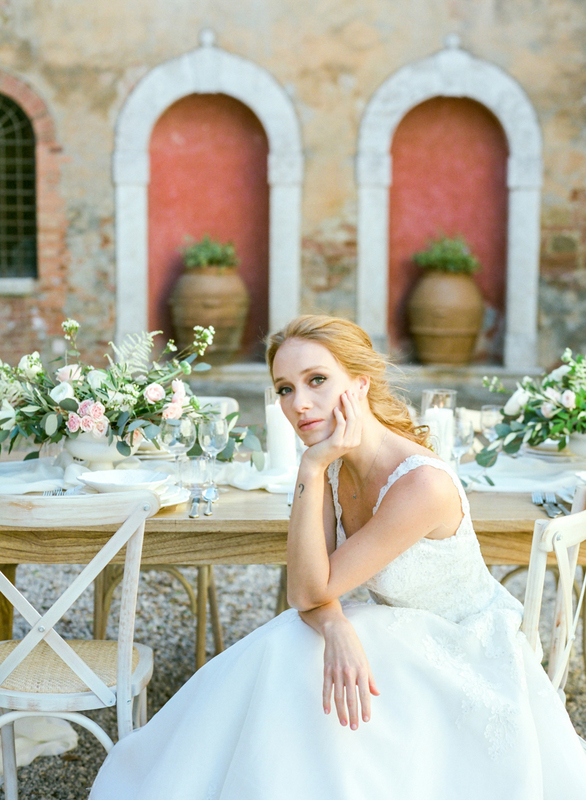 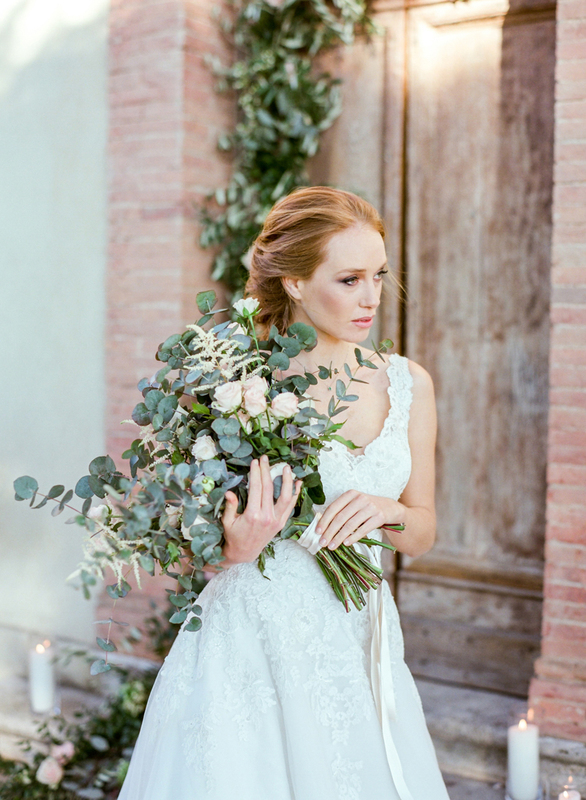 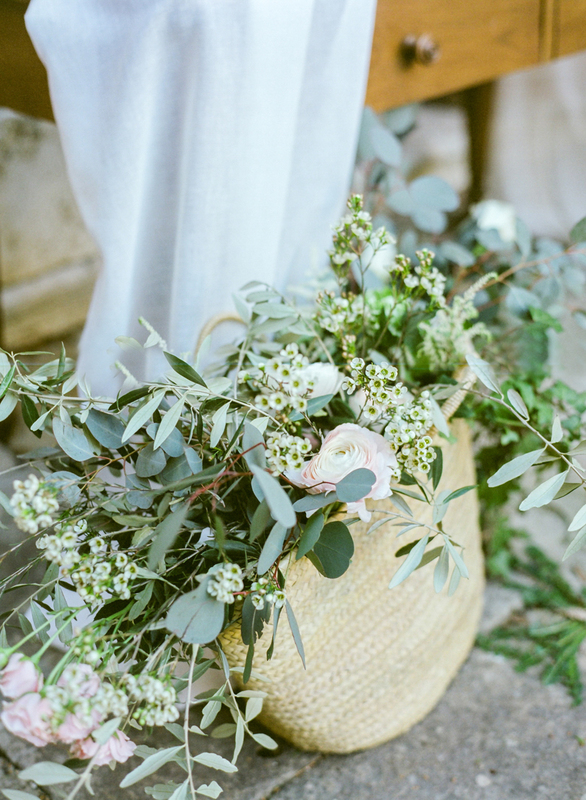 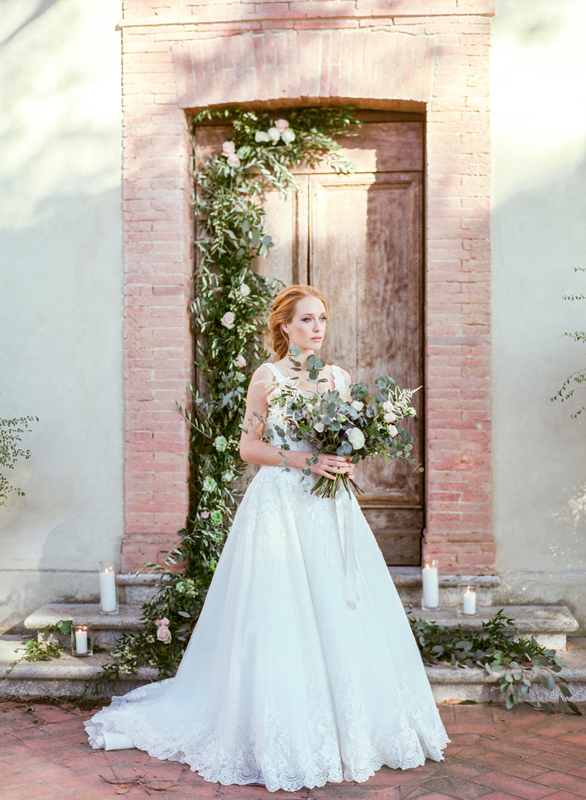 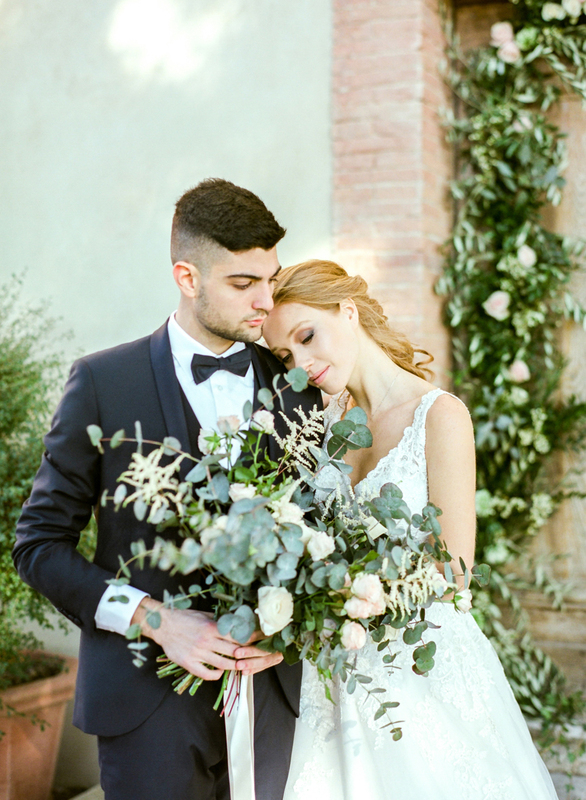 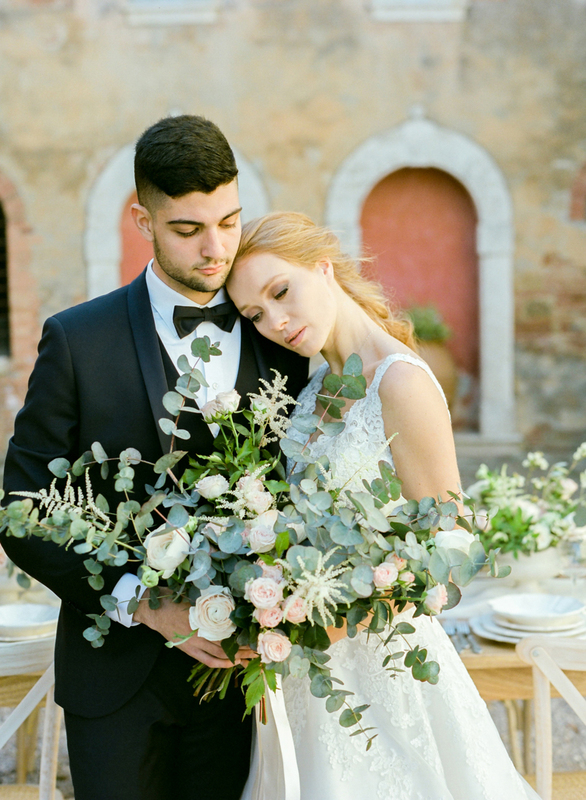 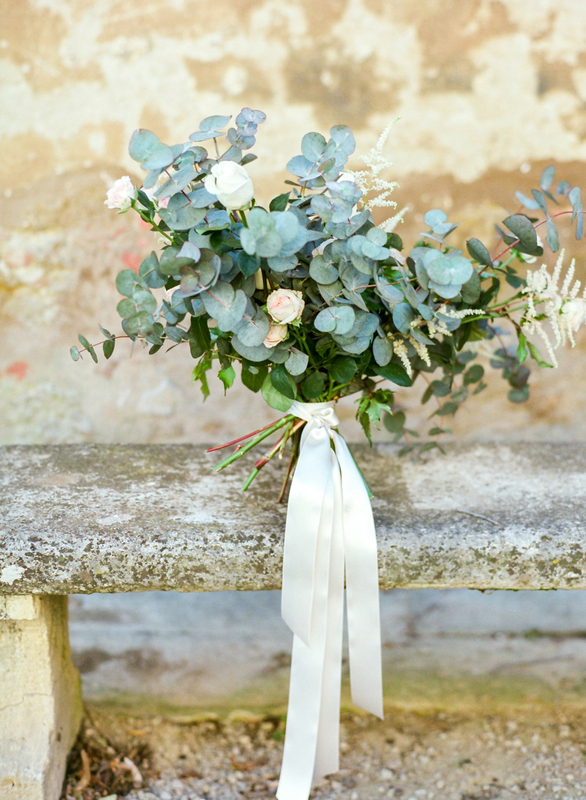 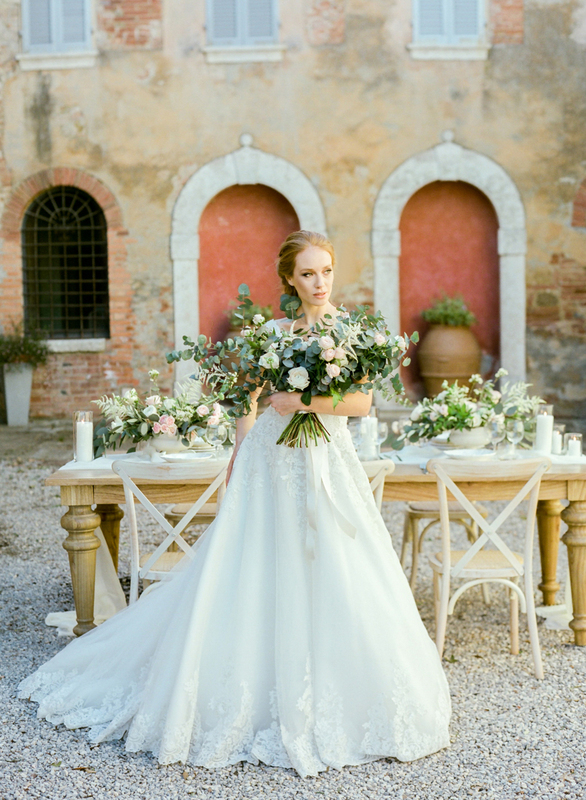 For this Tuscany wedding shoot Francesca at Tuscan Wedding Events expertly created a setting of rustic style, mixing wild flower bouquets from Ifiori Di Claudia with elegant table displays and the simple purity of pillar candles and silver wear. 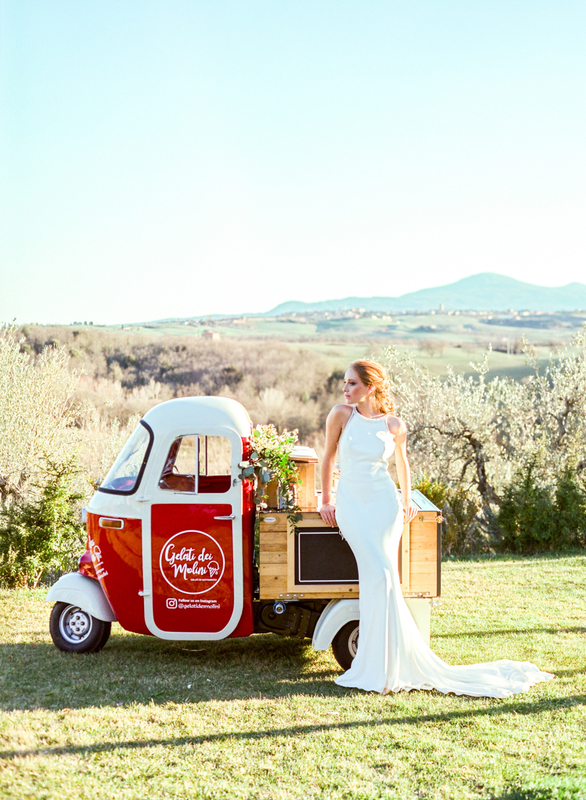 With a venue as classy and sophisticated as Borgo Sant’ Ambrogio we already had the ideal setting amid the beauty of Tuscany. 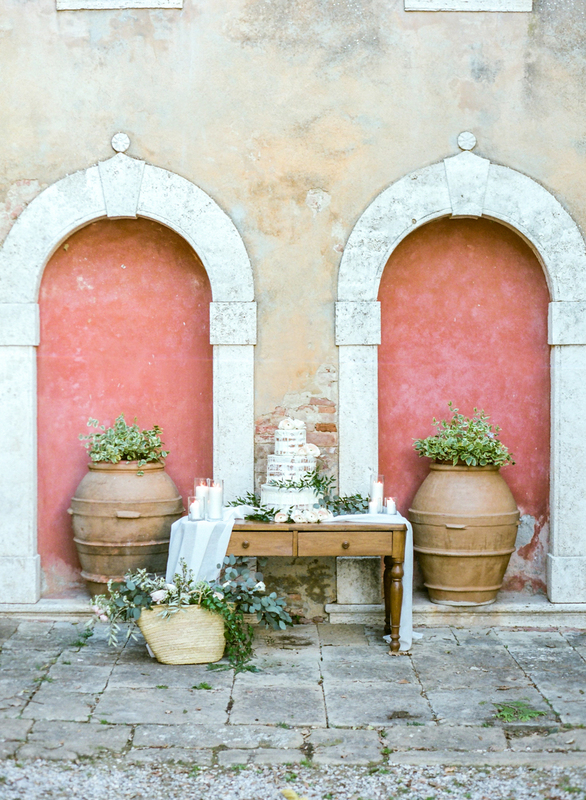 Borgo Sant’ Ambrogio weddings are positioned for maximum beauty with stunning views and attention to detail that promotes excellence. 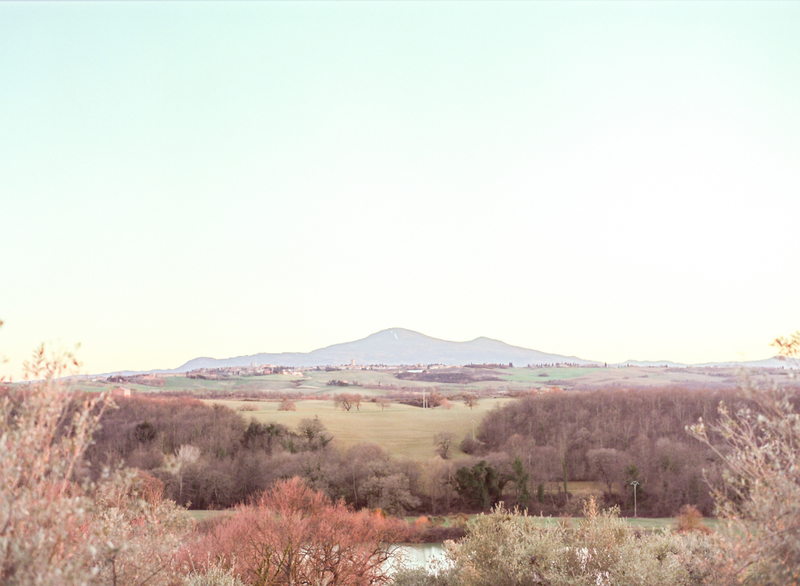 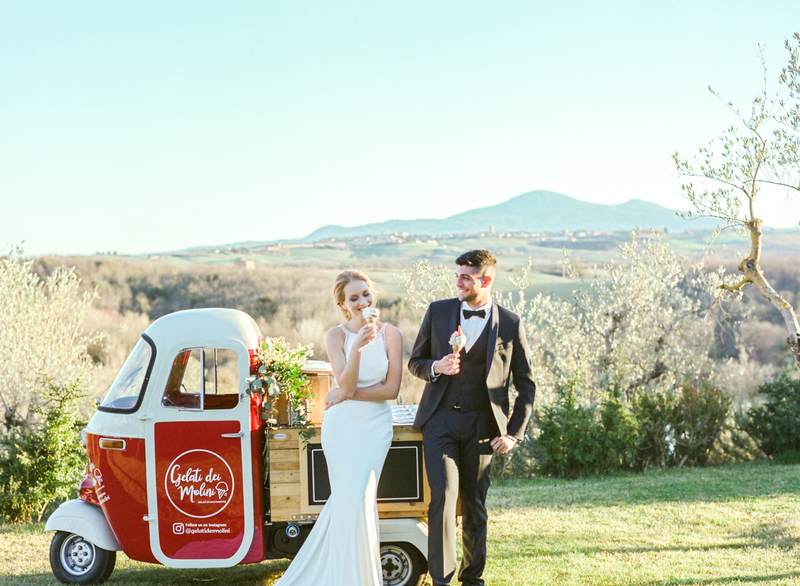 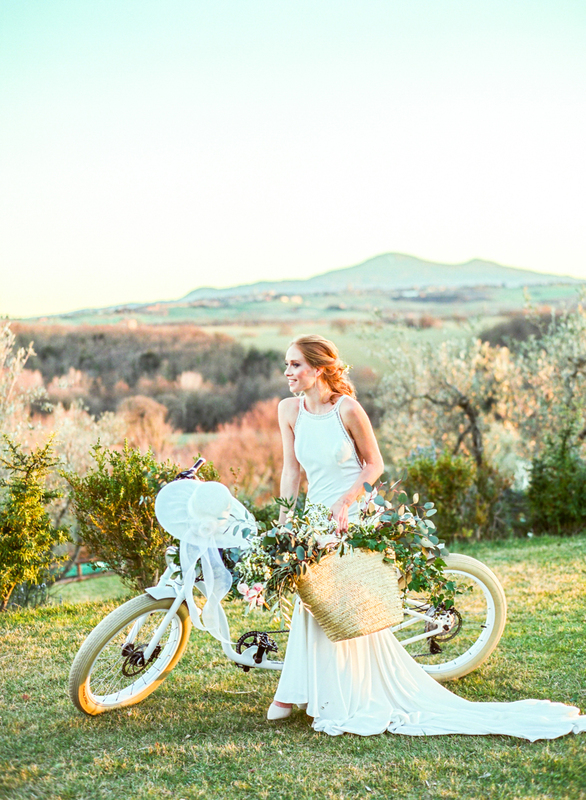 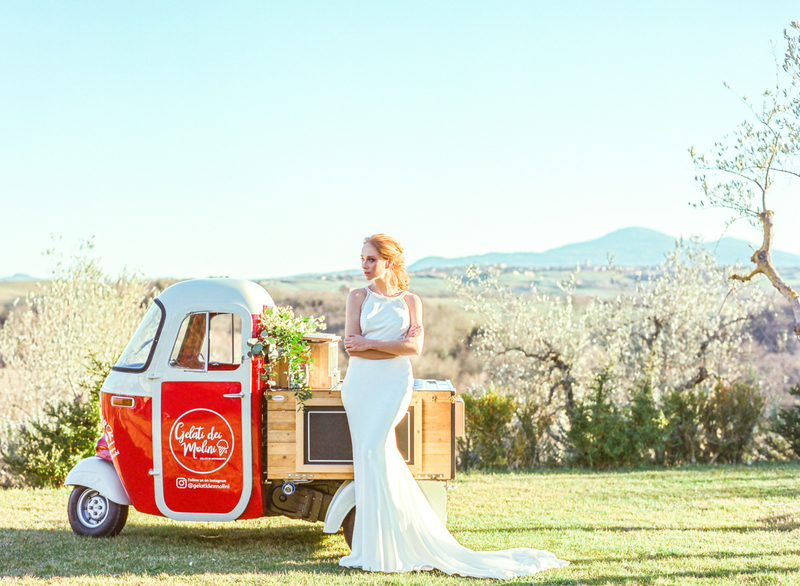 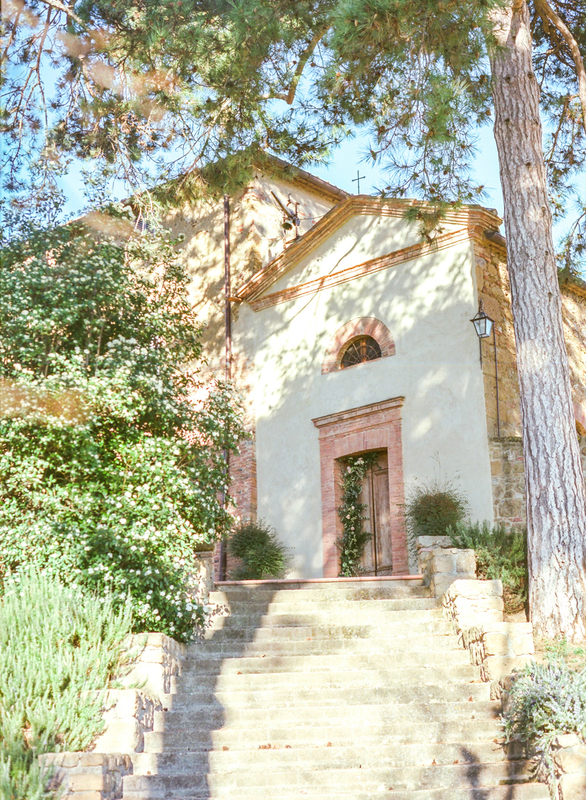 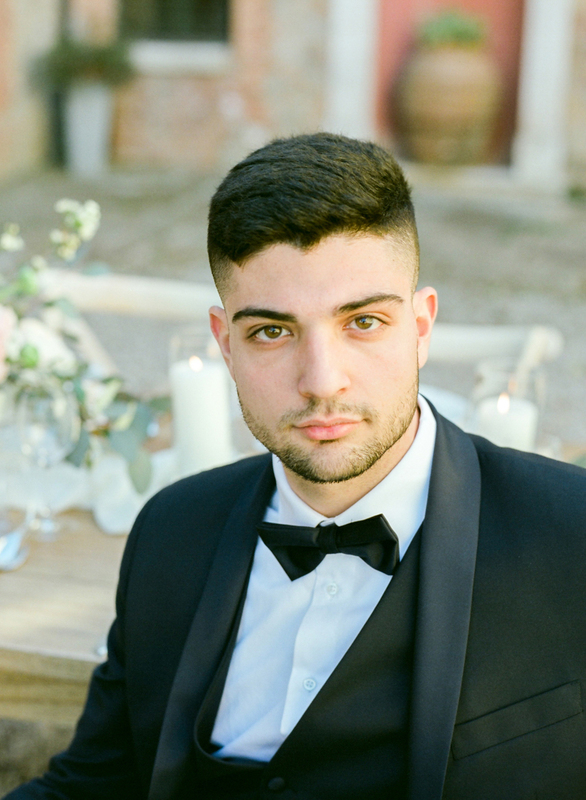 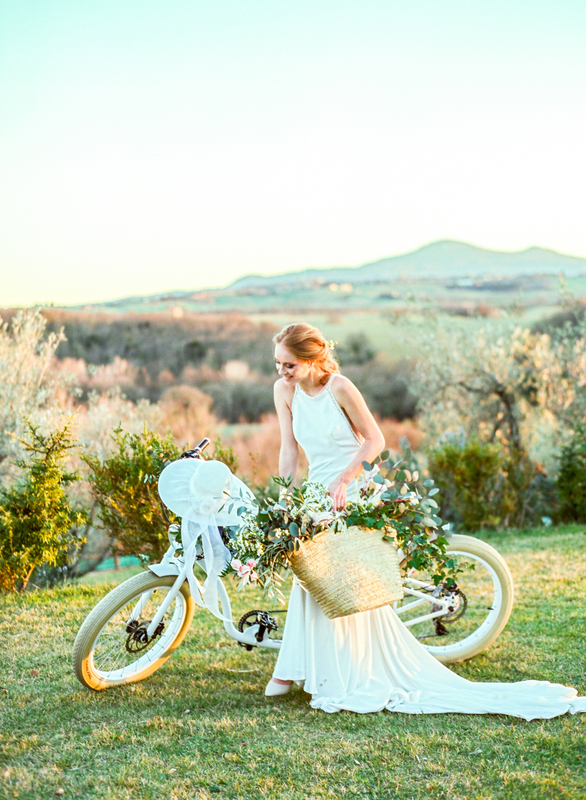 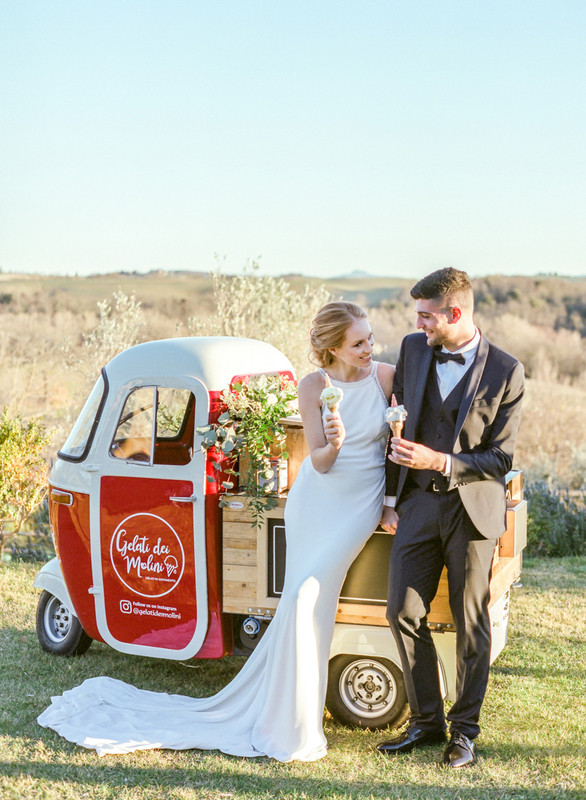 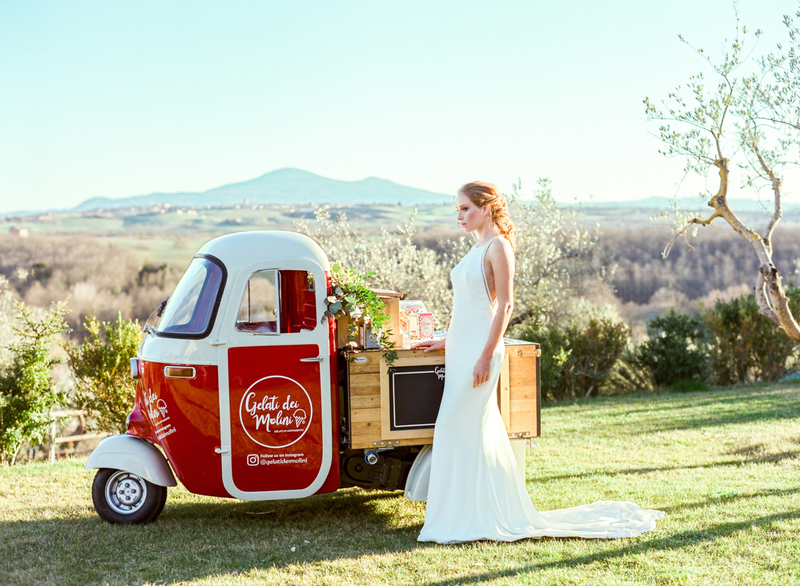 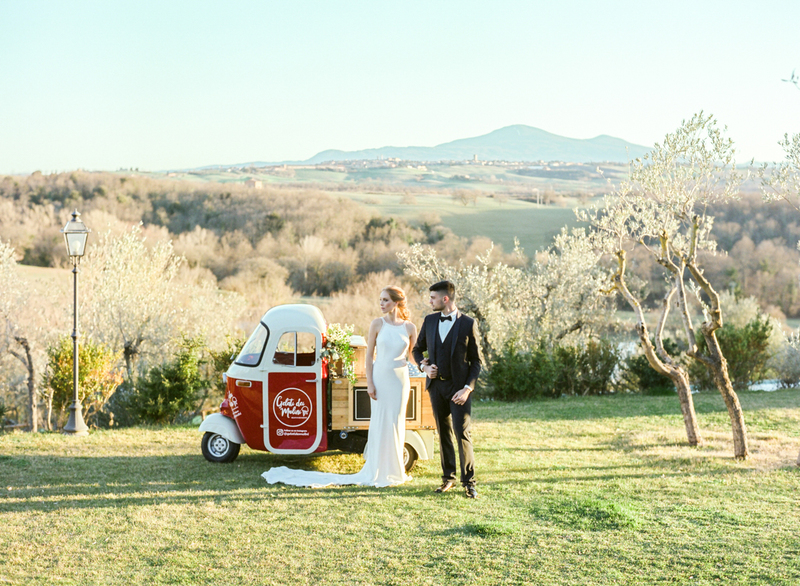 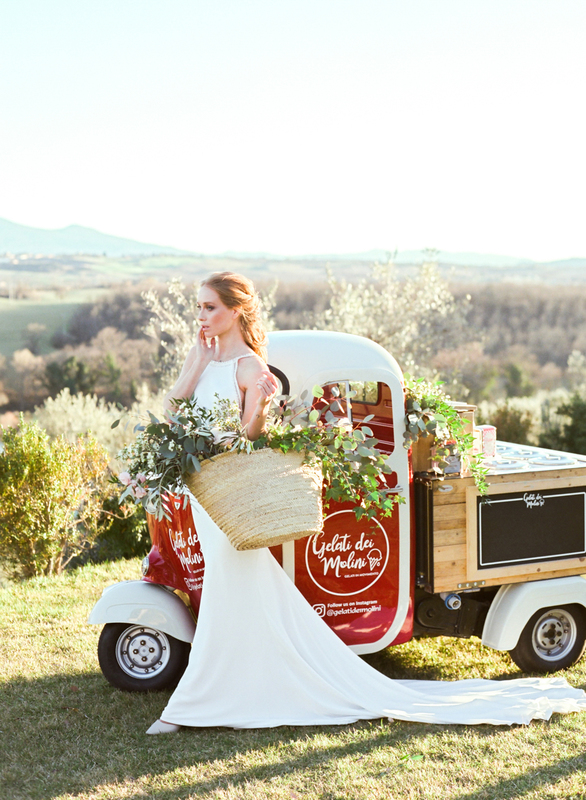 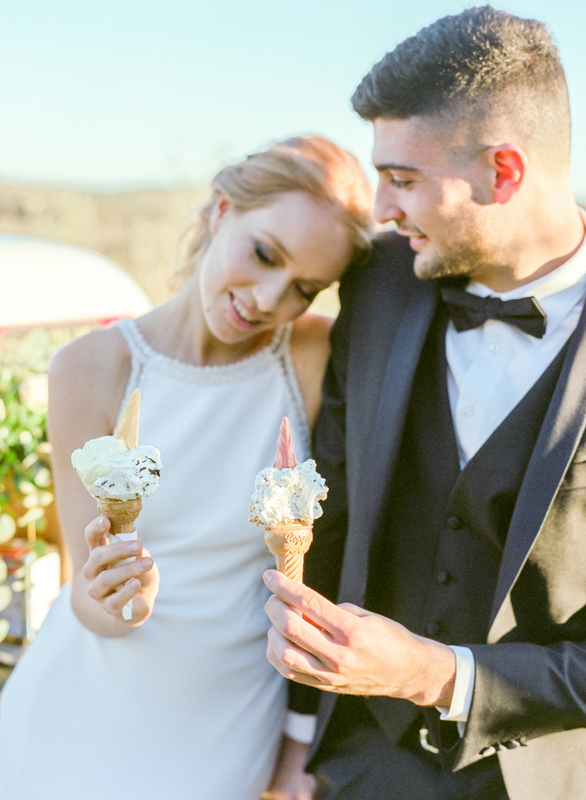 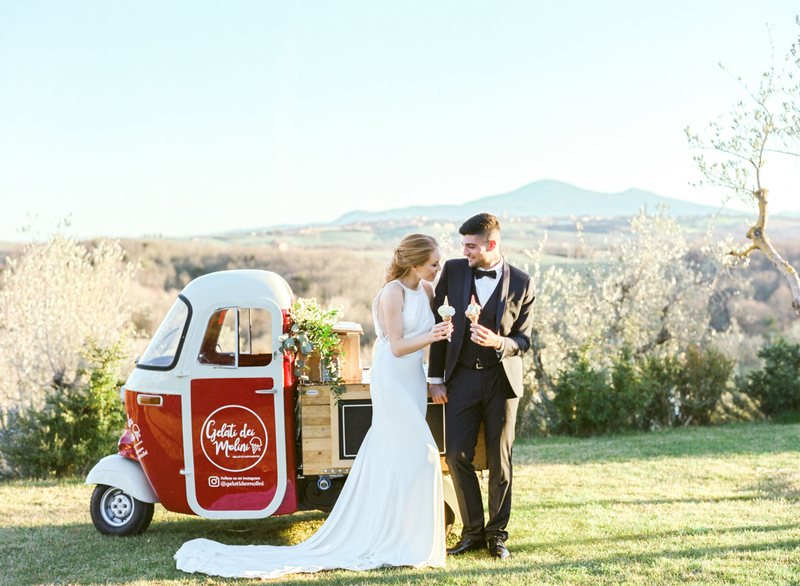 In this, the Valdorcia area of Tuscany, A wedding in Borgo Sant’Ambrogio brings love to life amid the land vineyards and shimmering sunsets. 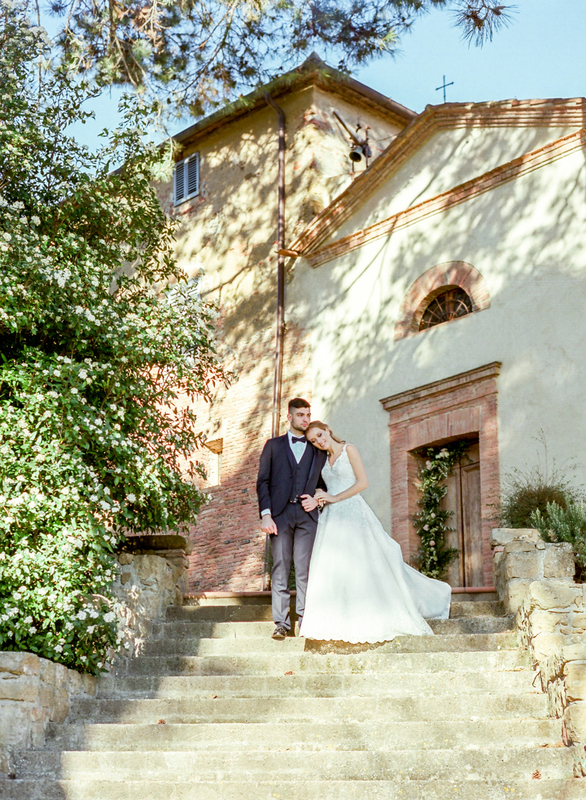 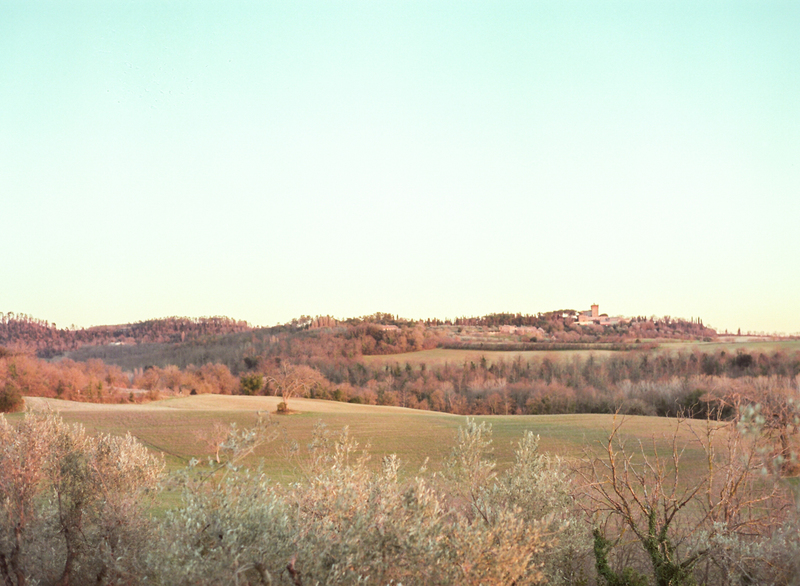 This is a resort of dreams and for a Tuscany wedding photographer an honour to capture. 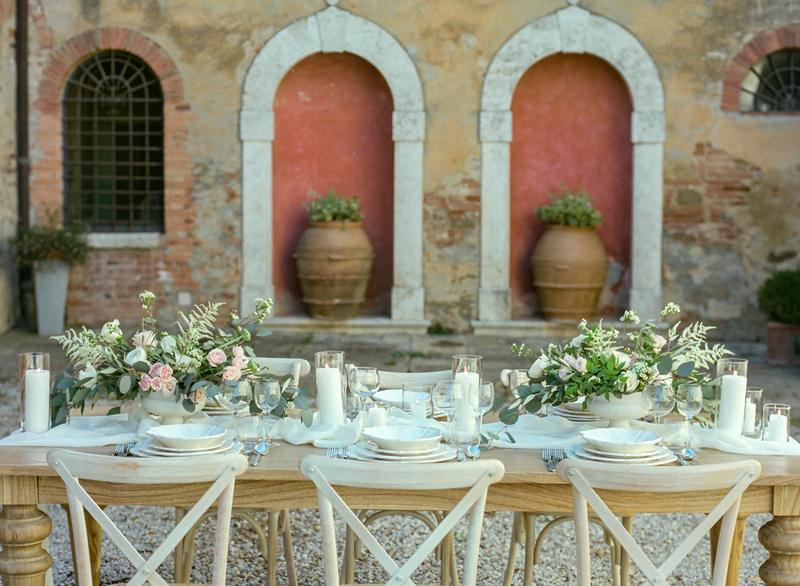 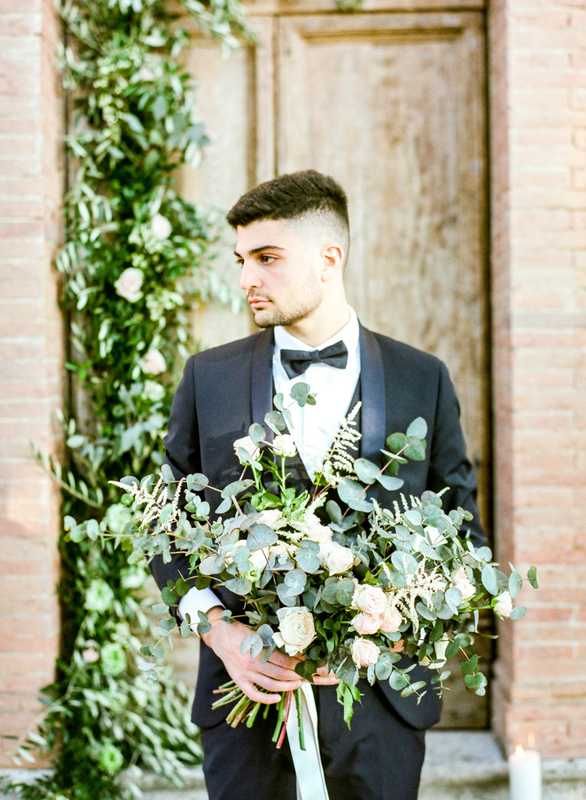 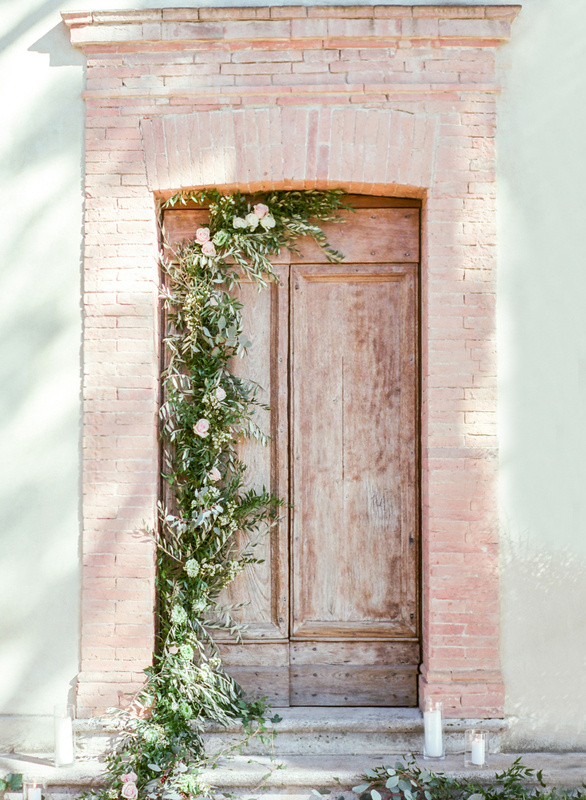 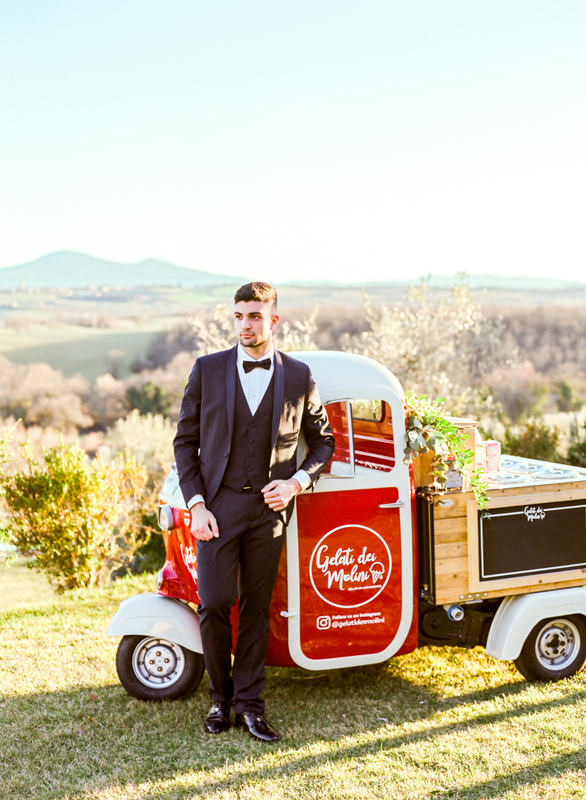 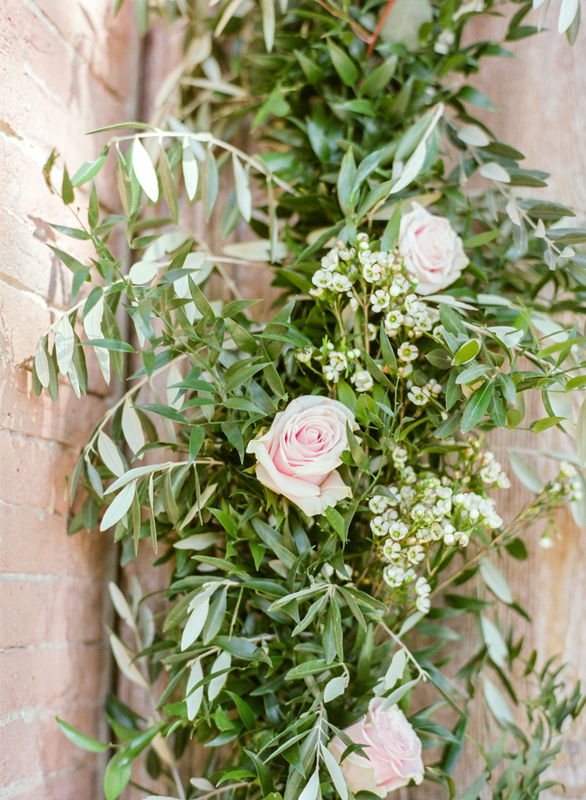 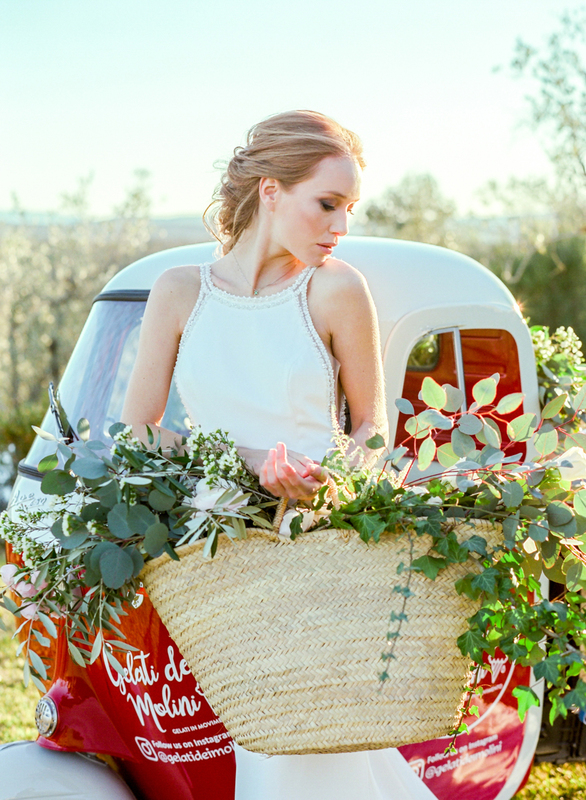 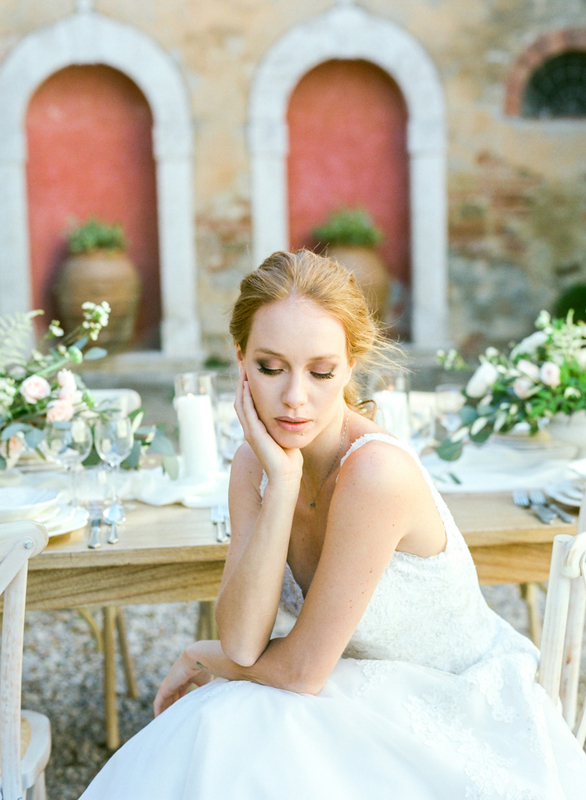 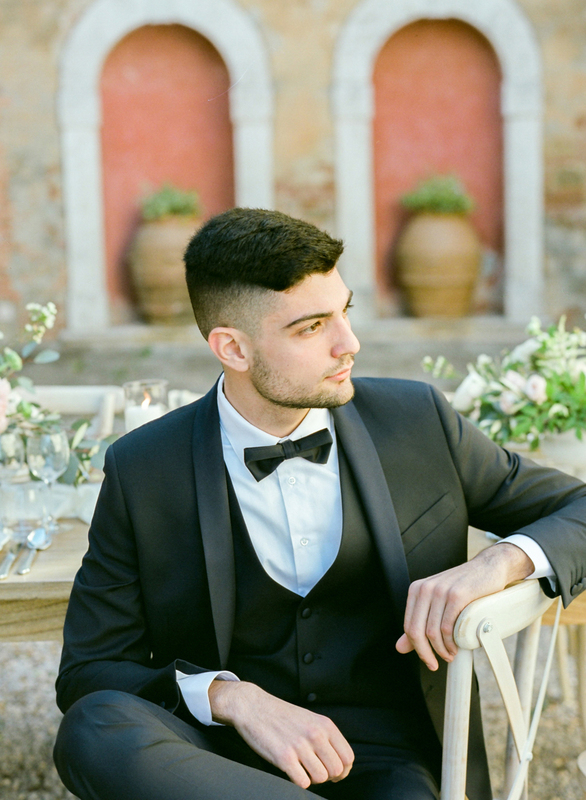 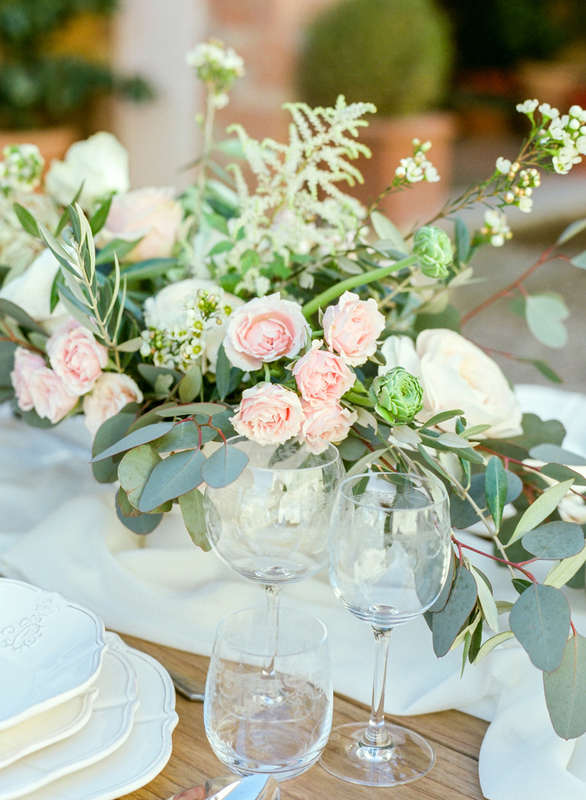 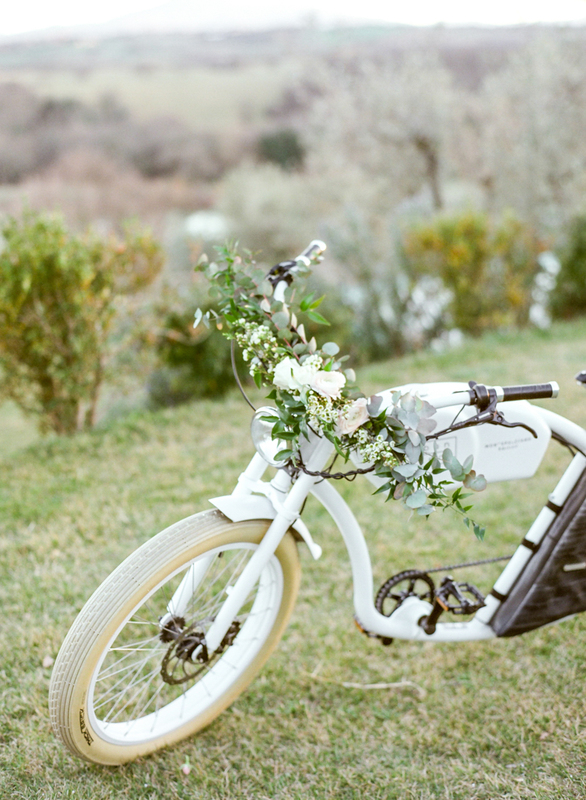 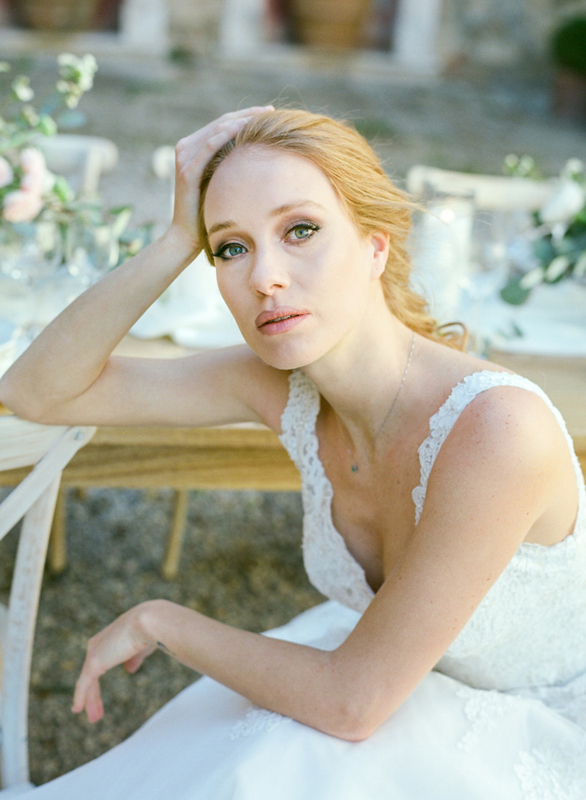 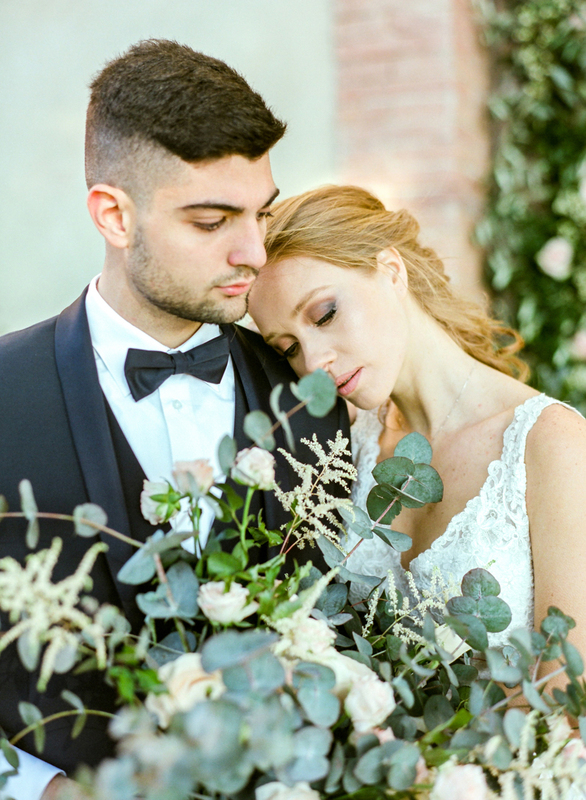 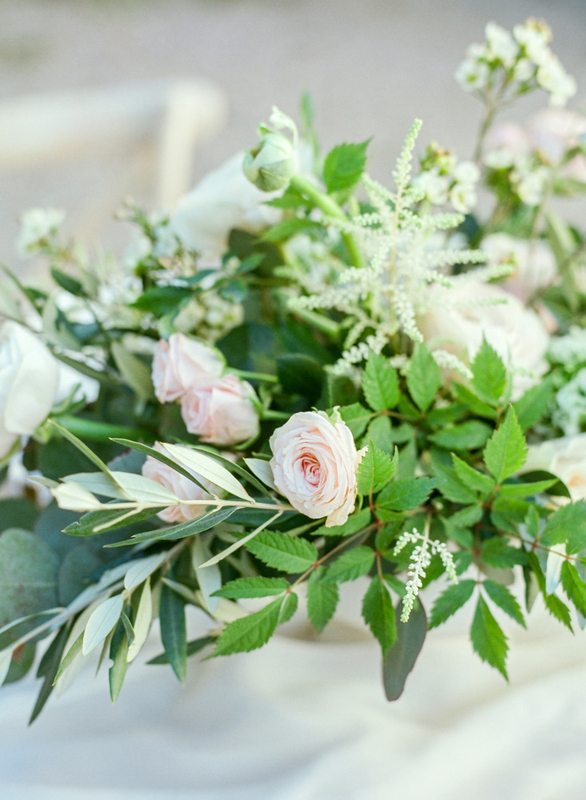 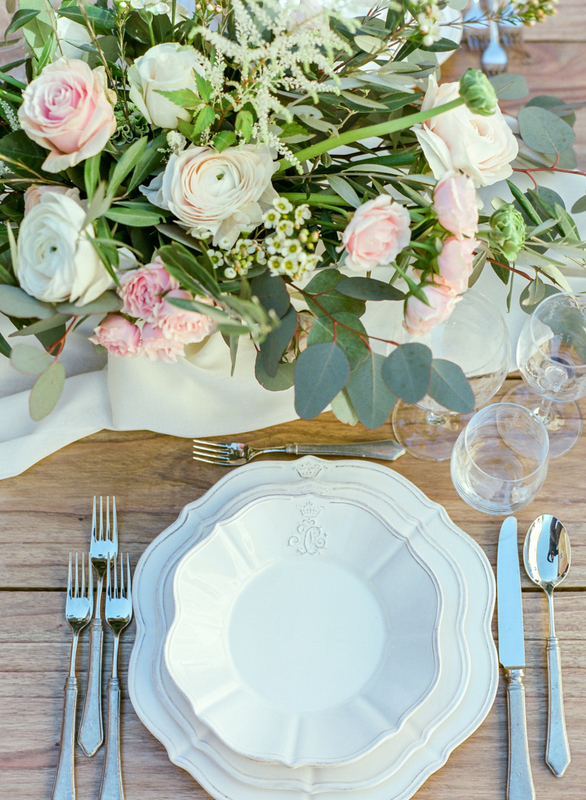 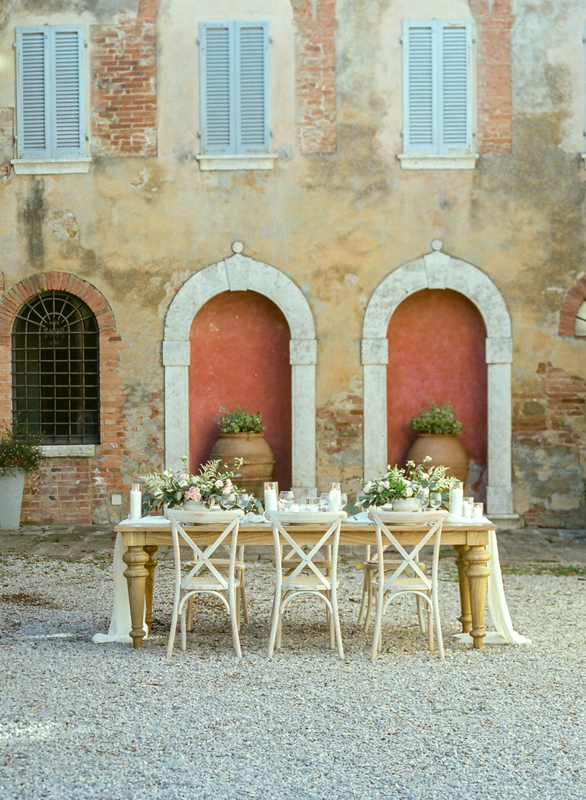 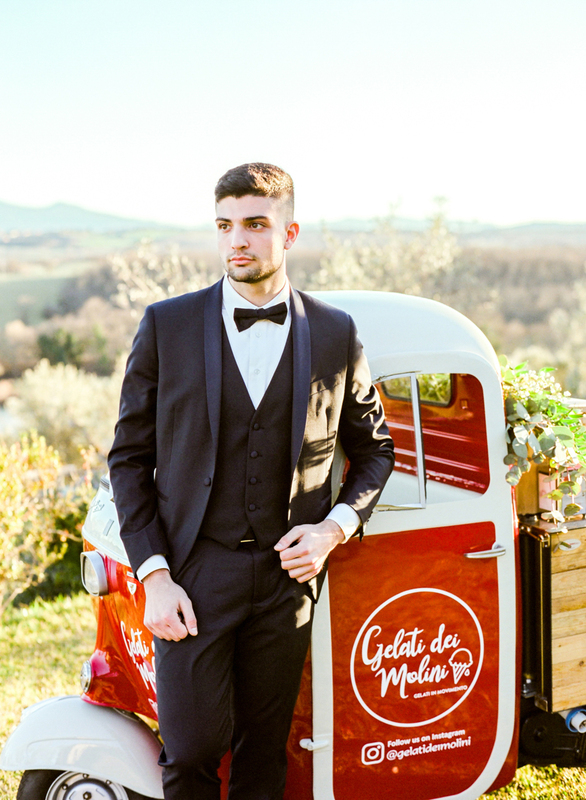 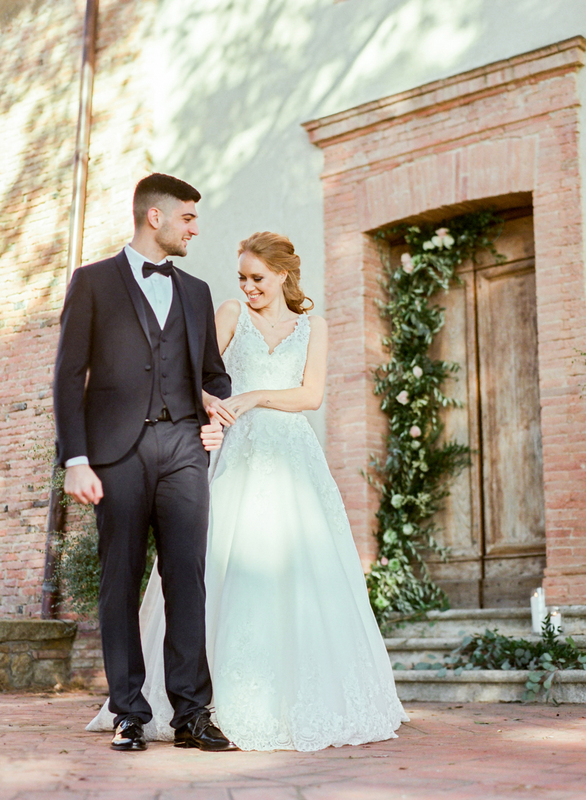 For our wedding in Borgo Sant’Ambrogio Tuscan Wedding Events held the essence of simple romance and chic simplicity in everything they arranged. 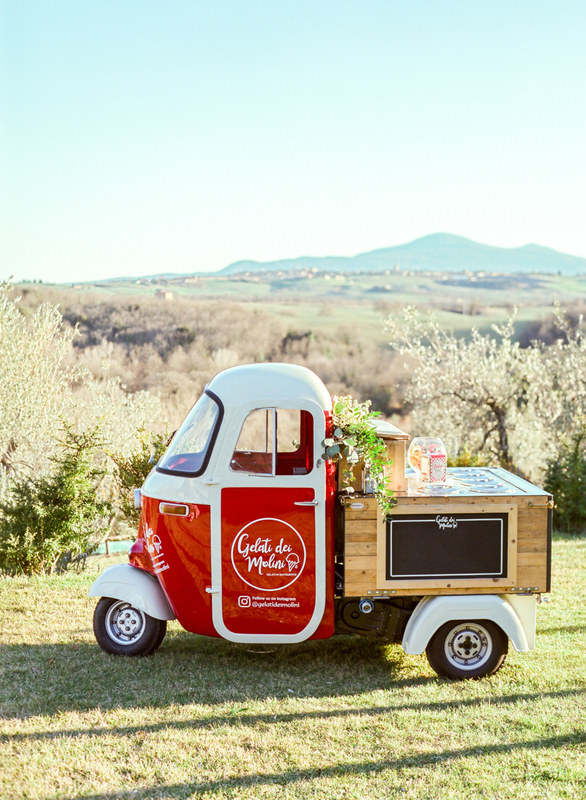 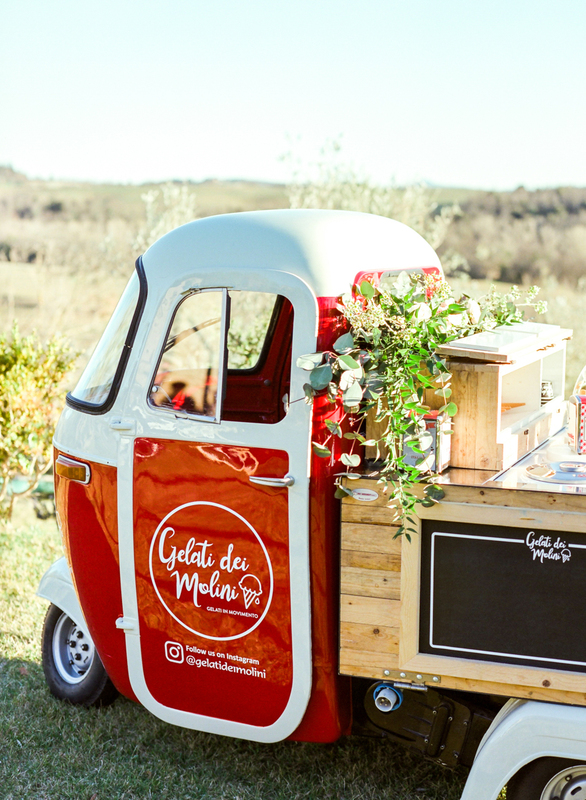 A cute mini ice cream truck from Gelati Dei Molini brought an element of nostalgia while cycles from Urban Bikery were decorated with flowers and brought the ingredient of fun and simple joy. 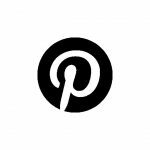 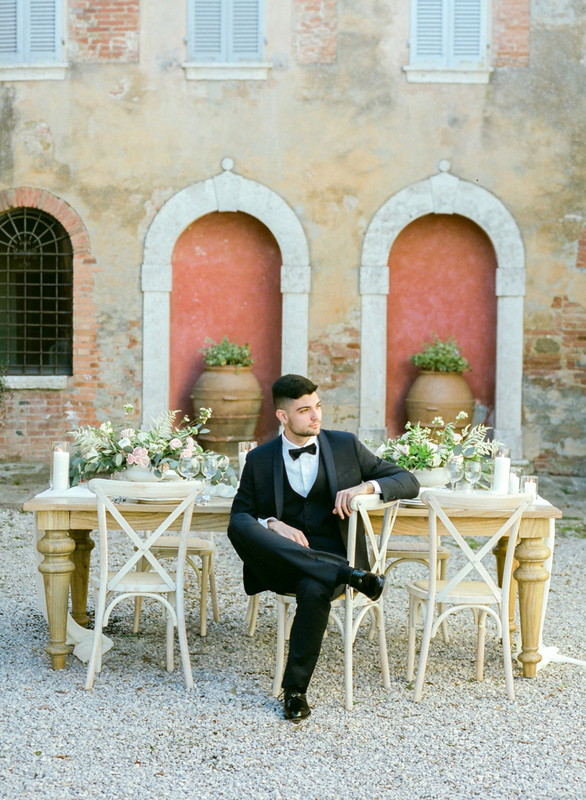 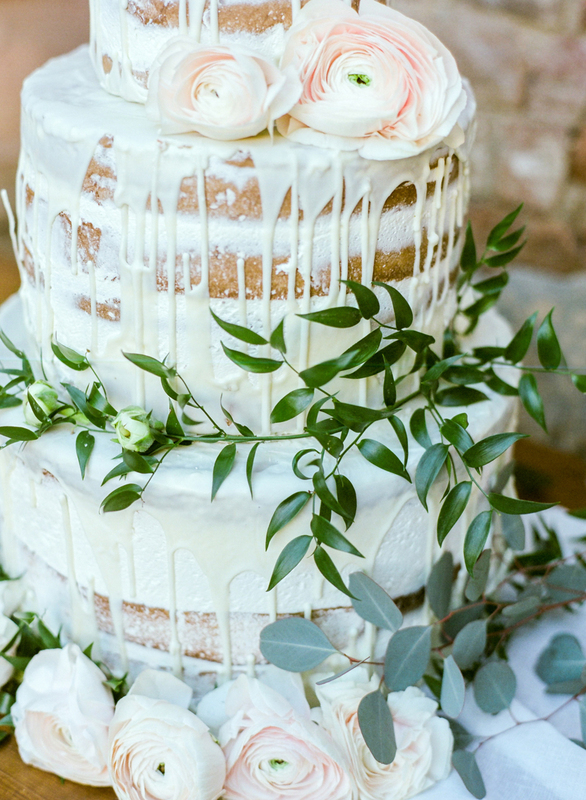 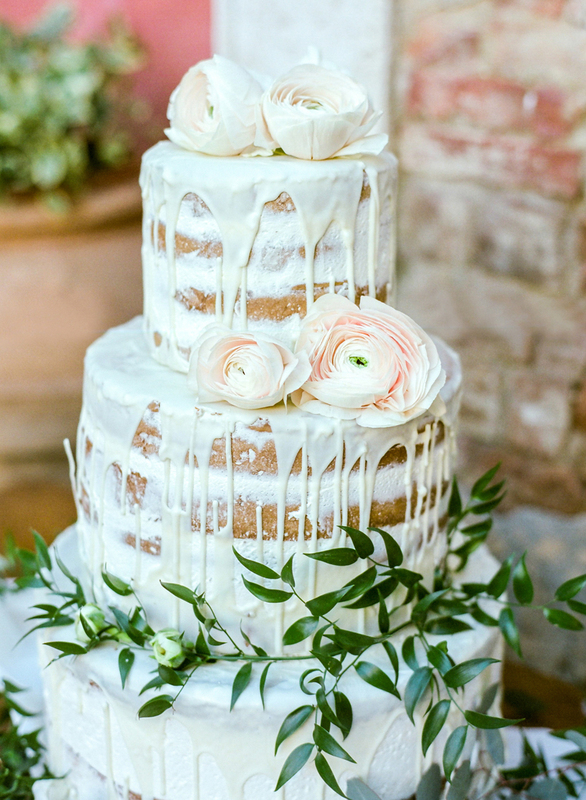 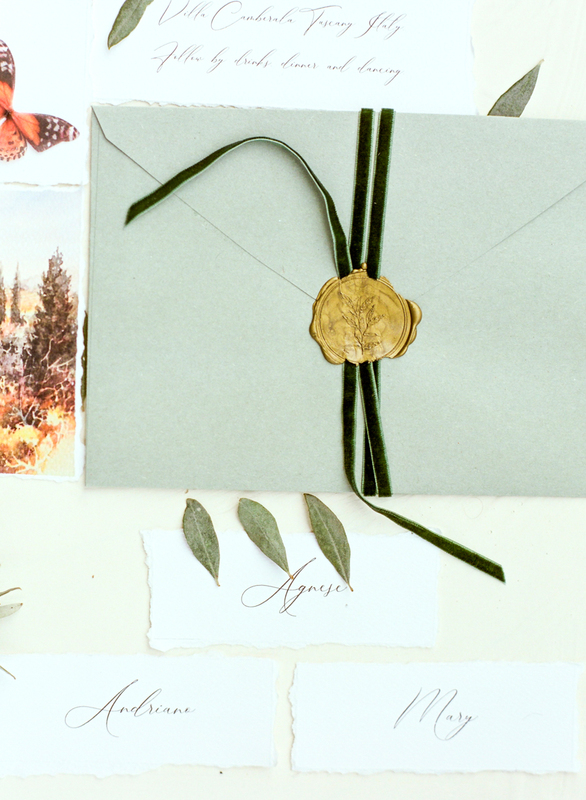 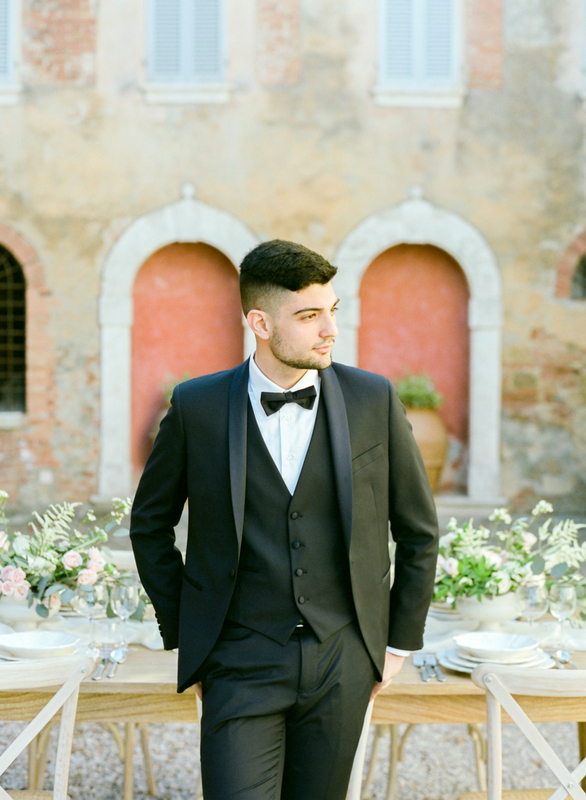 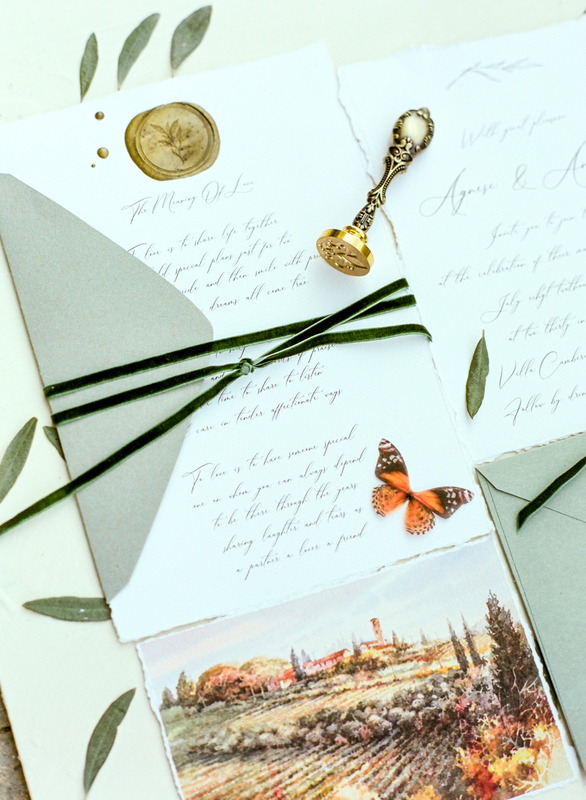 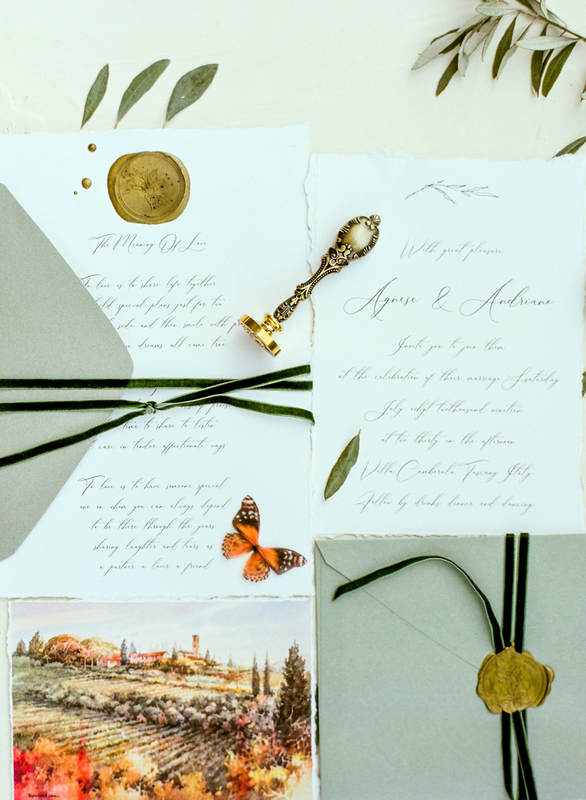 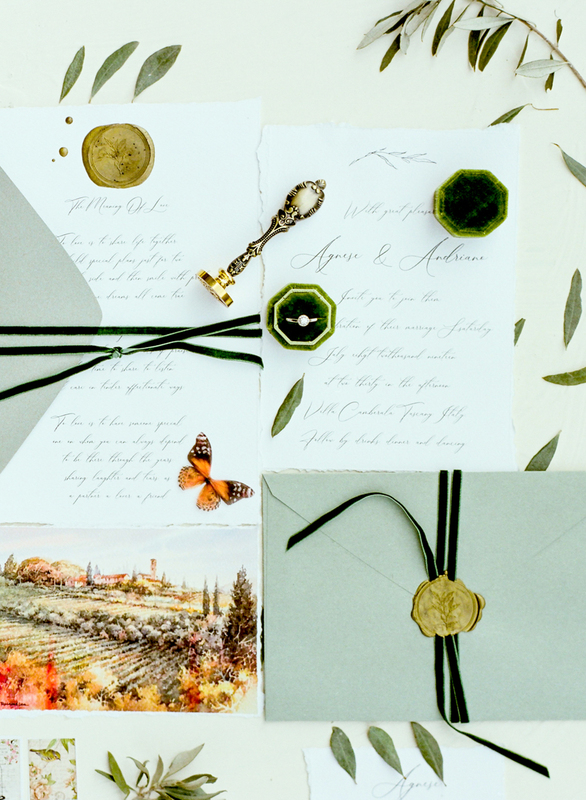 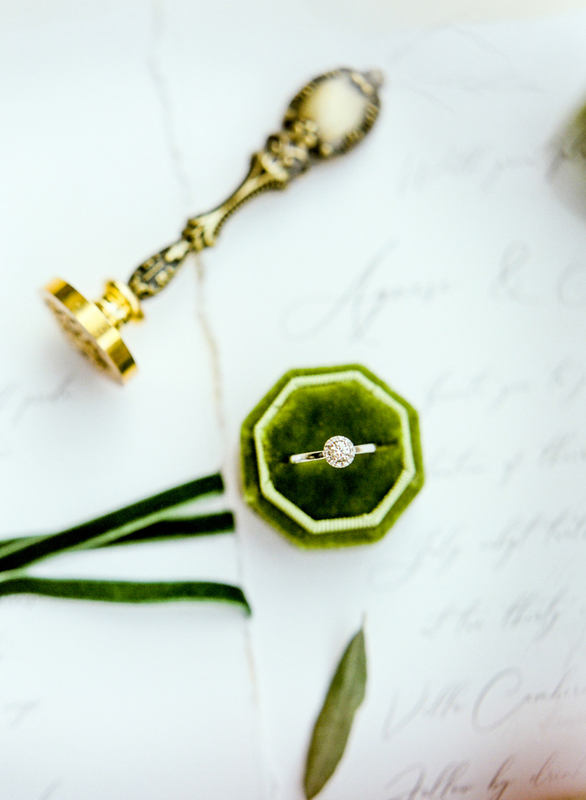 This brought many different elements together for our Tuscany wedding, while still manging to keep an overall style of sophistication and earthy authenticity. 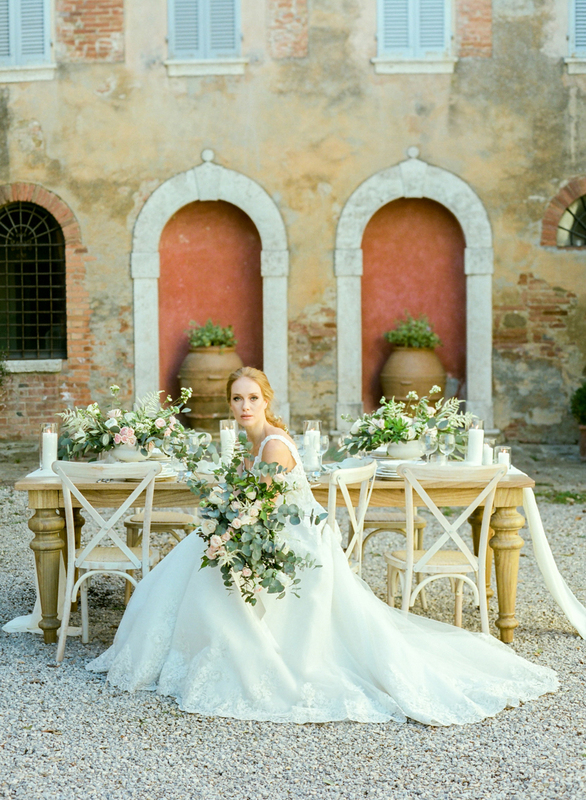 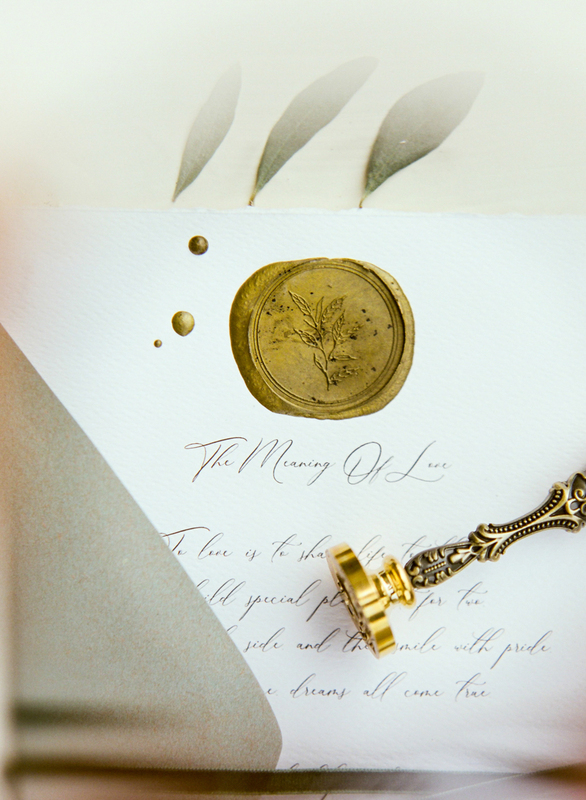 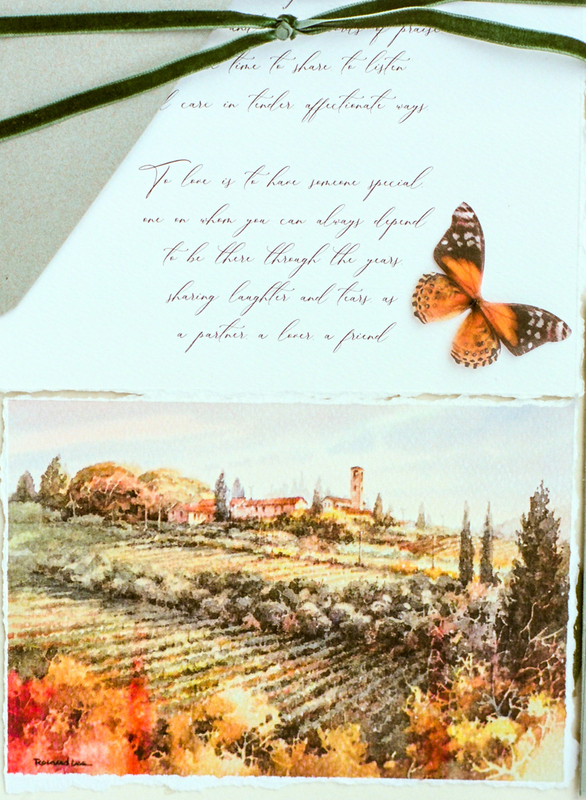 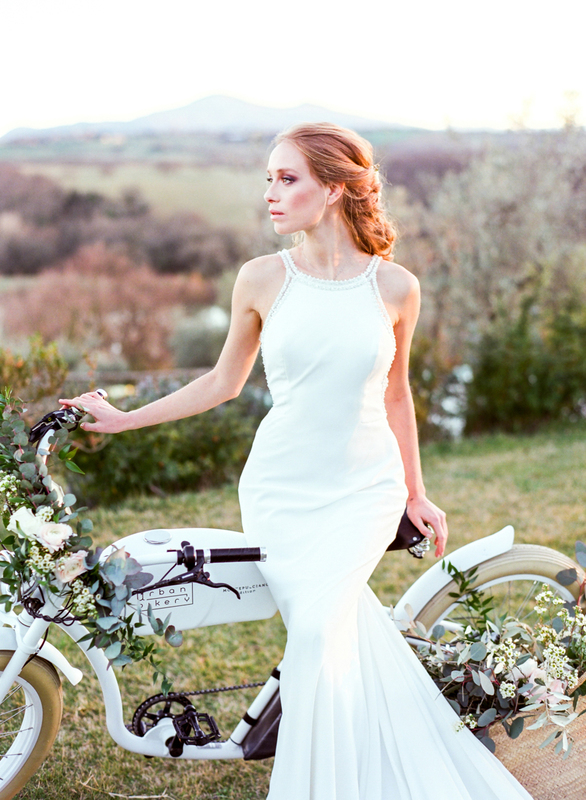 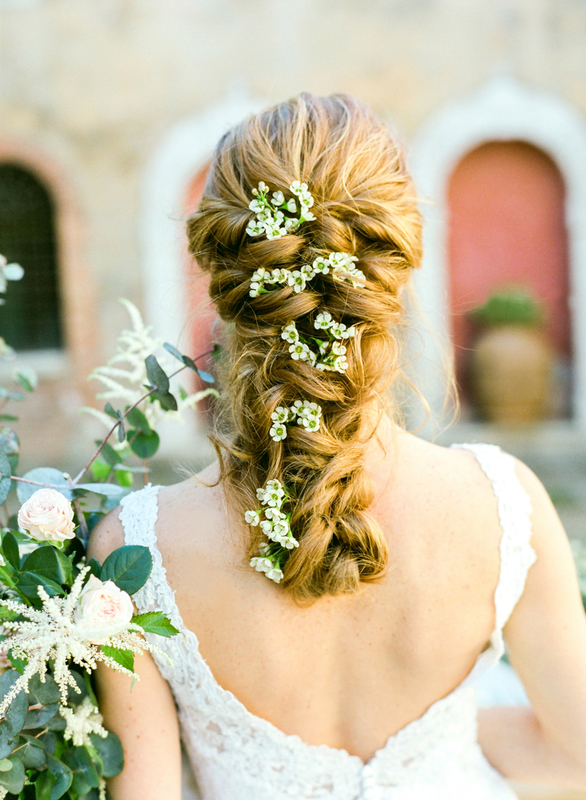 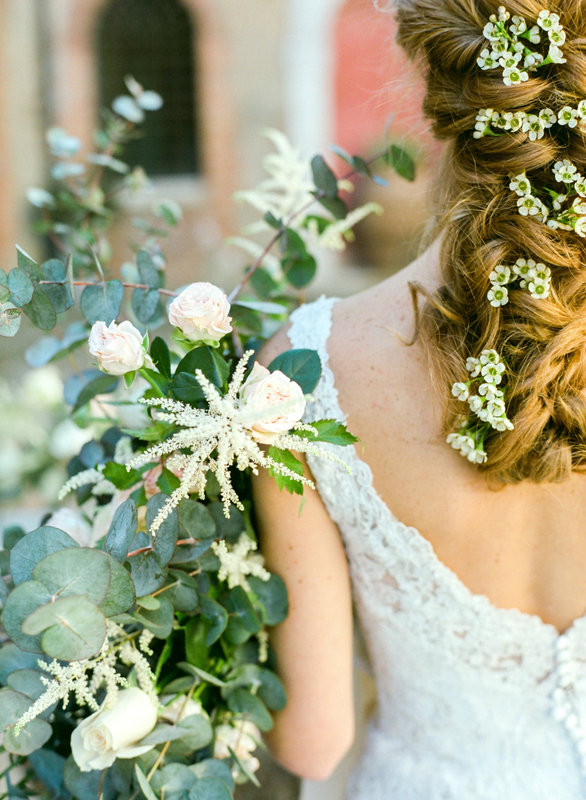 Francesca at Tuscan Wedding Events brought all of this together with magic and a sense of poise. 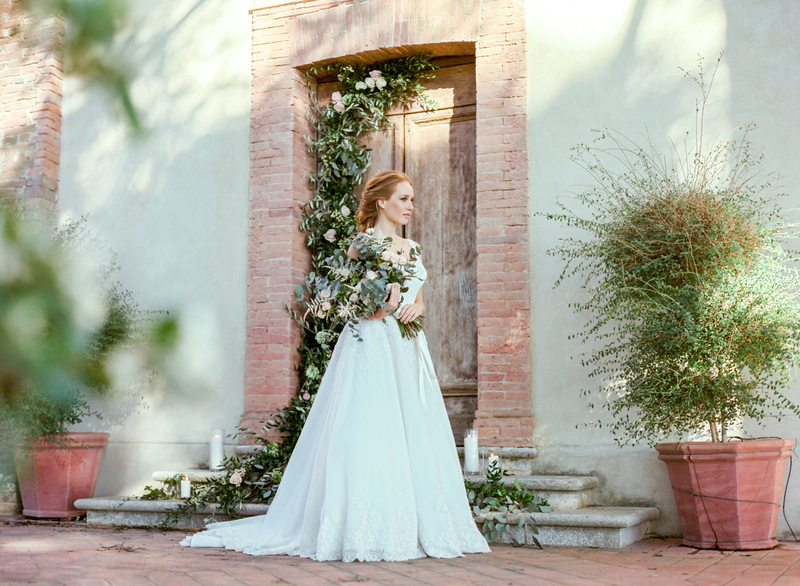 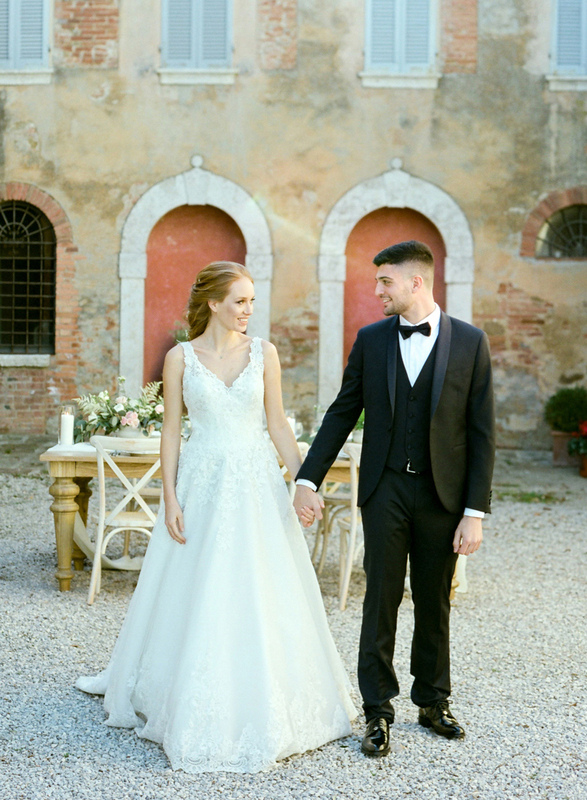 The wedding gown from Sorrisi Di Gioia added to the feel of stripped back elegance and for a wedding photographer in Tuscany our bride was a pleasure to shoot. 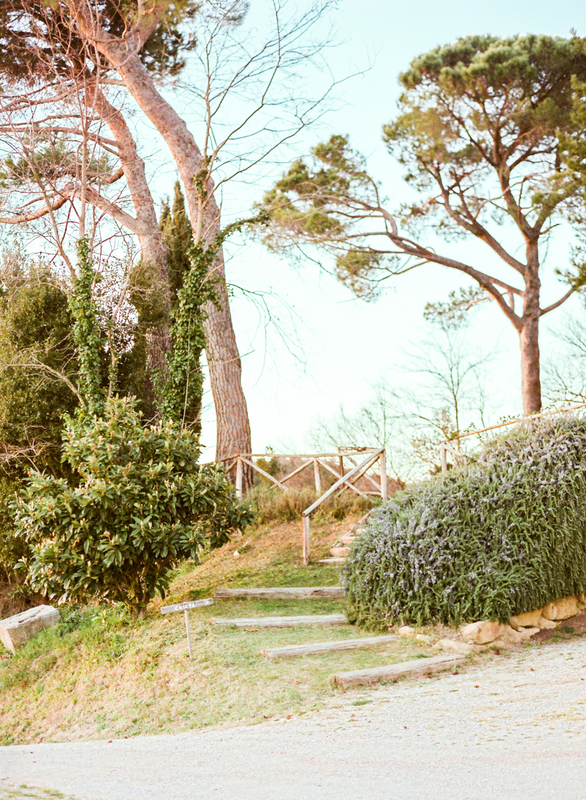 But it was the setting of the shoot as a whole that really brought such splendour. 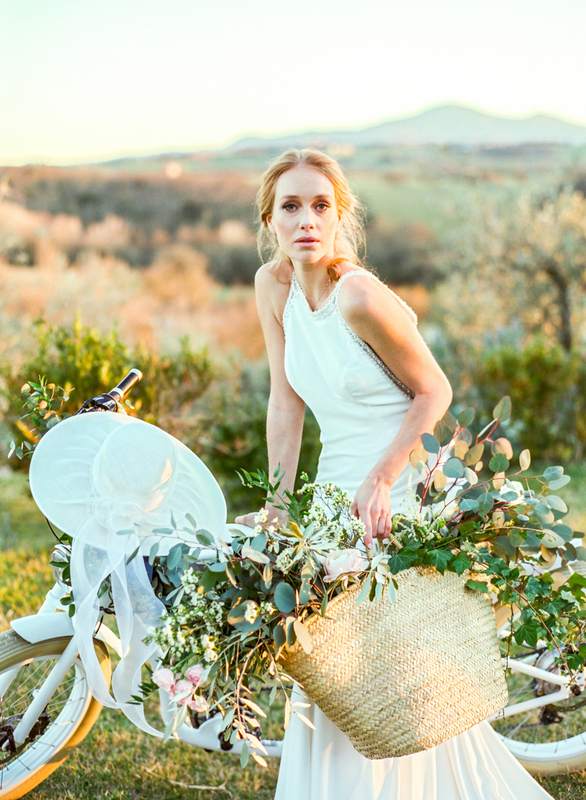 A Tuscany wedding is a thing of absolute beauty and at the centre of a wedding in Tuscany is a beating heart of romance.